11. Planning for Urban Sustainability: Comparing the Impacts of Residential Design Alternatives – Lynn M. Jarrett, Hal S. Knowles III, Barbra C. Larson, University of Florida/Program for Resource Efficient Communities 26. G4 Synergetics High Power Battery – Mark Kohler, G4 Synergetics, Inc.
During June of 2014, Florida Atlantic University’s (FAU) Southeast National Marine Renewable Energy Center (SNMREC) signed a five-year lease with the U.S. Department of Interior’s Bureau of Ocean Energy Management (BOEM) for approximately 1,068 acres of outer continental shelf lands to research and test ocean current energy conversion technologies. Prior to installation of surface buoys (up to three) used for mooring work vessels which can lower prototype turbines into the water for testing in the Gulf Stream, seafloor surveys must be conducted to ensure that no archaeological or biological resources will be adversely affected. Also, SNMREC has installed two coastal ocean surface radar sites (one at Haulover Beach and one at Hillsboro Beach) which capture surface currents across most of Broward County’s offshore areas. This moderator will discuss the progress of the establishment of the first ocean current testing facility to date. Natural Gas: A Pathway to Low Carbon Motor Fuels – David E. Bruderly, Bruderly Engineering Associates, Inc.
For example, CSX has partnered with GE to develop / demonstrate / evaluate the use of LNG fuels to power locomotives. Two shipping companies, Crowley and Sea Star / Tote Marine, have committed billions to build at least four ocean going dual-fuel LNG powered ships to serve the Jacksonville – Puerto Rico trade routes. At least two companies, a Sempra / JEA partnership and Clean Energy, have announced plans to build cryogenic plants in Jacksonville to produce LNG to serve this emerging market demand. The methane could come from renewable sources, such as Florida biomass, in addition to fossil natural gas delivered to Jacksonville via pipeline. The Jacksonville Port Authority, Transportation Planning Organization and Transit Agency are each sponsoring aggressive market development and public outreach and education programs. This activity could position Florida to leap-frog into a global energy leadership position with respect to the use of gaseous motor fuels. This sudden commercial interest in natural gas motor fuels could be the beginning of a paradigm shift; it could create opportunities for RDD&D to produce, distribute, store and use low-carbon methane and hydrogen much more efficiently and in ways that complement increased use of renewable energy sources. It could create outreach and education opportunities to help consumers regain control of motor fuel markets. While private capital has been earmarked to develop these initial ventures, the focus has been on proven, off-the-shelf technologies and business strategies. The opportunity for investment in RDD&D to support continued improvement in these technologies, not to mention approaches to deployment of infrastructure, has not yet been recognized by Florida academics or policy makers. Continual innovation is required to reduce emissions and increase fuel efficiency to displace foreign oil importation. This transformational research addresses the use of Selective Non-Catalytic Reduction (SNCR) as a method to reduce the oxides of nitrogen (NOx) emissions from a diesel engine by injecting urea into the engine cylinder without the presence of a catalyst usually associated with selective catalyst reduction (SCR). Operation of SNCR has been demonstrated through modeling and in exhaust streams to be capable of 80+% NOx reductions. However, only limited research has been done with the application of SNCR to a diesel engine. By implementing an SNCR, a diesel engine could be designed for high fuel efficiency by reducing fuel penalty technologies, such as exhaust gas recirculation (EGR) and delayed fuel injection. This study involved numerical model development, experimental system design and construction, and preliminary SNCR system operation. Research of heavy-duty diesel engines has been directed at reducing fuel consumption and exhaust emissions of PM and NOx with minimum application of after-treatment system. This study is a SNCR system for a diesel engine, which reduces NOx emissions by injecting a reductant (such as aqueous urea) into to the cylinder. An SNCR system will allow engines to be developed for maximum fuel efficiency without the necessary catalyst of a SCR system. In support of this effort, both experimental and modeling methodologies were used to explore a SNCR system over the engine’s operational range. The control parameters of the reductant injection system were explored, such as start of injection and injection duration. A preliminary single zone model was developed for the SNCR system, which includes the thermal and kinetics processes between the combustion products and the injected reductant. The effects of reductant injection parameters such as start of injection, injection duration, and injection pressure were examined. The kinetic model employed to simulate the reaction process was based on the established mechanisms for n-heptane, NOx-NH3, and urea decomposition. A single cylinder diesel engine was fitted with a reductant injection system and data acquisition system The reductant injection system is a common rail type injection system (components including a reductant reservoir, high pressure piston pump, and pressure regulator) allowing the exploration of different injection pressures. The reductant was injected during the expansion stroke, after the diesel fuel injection is completed, by controlling the start of reductant injection with respect to the crank angle location. An in-cylinder pressure transducer was installed to calculate the in-cylinder temperature and determine the adequate location for urea injection. The current research scale engine test cell at UNF’s Energy Efficiency Laboratory (EEL) can measure the engine performance, exhaust emissions (NO, NO2, NH3) and combustion process of single cylinder engines. The exhaust temperature was measured at the exhaust port. A NO, NO2 and NH3 analyzer, developed in-house at UNF’s EEL, was utilized to measure NOx emissions and any ammonia slip. Unit commitment (UC) is the most essential problem in power systems, and the uncertainties arose in supply and demand sides add to its complexity. UC problem attempts to schedule generators in a way to meet the forecasted demand with the least commitment and dispatch costs while maintaining various physical, systematical, and reliability requirements. The problem involves two decision making milestones: the status of generators should be determined in a day ahead to accommodate the requirements of long start-up time, and the generation levels and transmission network utilizations will be determined in the real time and is adaptable with the actual load. Given the importance of reliability in power generating and the high portion of dispatch cost in total operation cost, optimally solving UC problem is imperative. One challenging issue in UC problem is the impact of uncertain factors such as ambient temperature on generation and transmission network capacities. Since system capacity is mostly determined statically, weather changes can cause power outages and/or line congestions. Moreover, actual data reveals load fluctuation with temperature change. To address these issues, we developed a two-stage robust security-constraint unit commitment formulation, which dynamically rates the assets and hedges against possible efficiency drops. Leveraging the correlation between two sources of uncertainty, i.e., weather and load, it yields a less conservative decision and a faster computation. The mathematical model and computational performance will be presented in our poster. General Capacitor (GC) is an FSU spin-off and Tallahassee-based company and focused on development, manufacture, and commercialization of new Li-ion capacitors (LICs) that are destined to play a major role in the world’s future energy usage and storage needs. New generation high performance LICs were assembled with activated carbon cathode and hard carbon/lithium stabilized metal power anode. The specific energy and energy density as high as 20 Wh/kg and 38 Wh/L have been achieved, respectively. The LIC obtained a maximum specific power of 7.8 kW/kg. The discharge capacity retention of the LIC at -40 °C is about 64% compared to the value at 30 °C. After 90,000 cycles, the LIC still have 84% of the initial discharge capacity. The development of lithium ion battery over the years has been in leaps and bound. Research is still ongoing towards the development of better lithium ion batteries and utilization techniques to power devices and machines of the future ranging from hand tools to electric vehicle. Presently LiCoO2 is one of the most commercially available secondary batteries in the market right now. Among the olivine battery materials LiFePO4 is the most researched and understood material. Other olivine materials have higher energy density but some unfavorable characteristics hinder commercialization. LiCoPO4 and LiNiPO4 have really high voltages that is not in the operating range of presently usable electrolytes. LiMnPO4 is a very promising olivine material, its operating voltage is higher than that of LiFePO4 but still within the operating range of conventional electrolytes. Many approaches have been applied to solve this problem. The poor electronic conductivity can be alleviated with the use of carbon coating. Using a one-step carbon coating process results in better coating and increased conductivity compared to two step coating. Isovalent co-doping has also been shown to increase the performance of the material. Some other interesting approach to the problem has also been employed. The use of grinding aid to reduce the size of the product has been shown to increase performance. Use of oleic acid during fabrication reduces particle growth and agglomeration. Improved electrochemical performance was also gotten by the use of off stoichiometric mix of the precursor. The goal of our research is to combine these various methods that has been shown to increase performance of the material then characterize and analysis the material to see if the resulting material would be of higher performance as whole. Hydrogen is not a primary source of alternative energy like solar and wind. But hydrogen can be derived via various processes such as solar PV, biomass, photo-electrochemical etc. Once produced, an atomic hydrogen behaves like a lean burning fuel in (IC) combustion engines or an active ingredient source for PEM type fuel cells. Usage of hydrogen for stationary and mobile applications not only mitigate the carbon footprints from our atmosphere but also enables energy efficient processes. The role of hydrides because of their temperature swing properties, are currently employed to replace thermochemical energy storage in a concentrated solar power plants. For an electrochemical batteries such as Ni-MH, an added strength of developing light weight hydride electrodes lead for improving the available energy density and the overall battery life as well. Based on the rationale discussed above, this presentation is focused to highlight the salient features of hydrogen based research for fostering project based learning for STEM education and applied research. Acknowledgments: Authors gratefully acknowledge the FESC for funding this educational project. Authors wish to thank the industrial partners The Mosaic Company for support. Driven by the environmental concerns and escalating pollution rates, a global trend is initiated towards more deployment and utilization of Renewable Energy Sources (RES). However, one of the impediments facing wide deployments of the RES is their intermittency. For this particular reason, energy storage devices are always attached to RES. For example, wind power farms experience fluctuating wind speeds, consequently the output power fluctuates. In order to smooth this output, energy storage is used. Energy storage can be classified into chemical based including batteries and ultra-capacitors and inertial based as the flywheel. The chemical based ones are not environment friendly and can introduce fire hazard. A known example is the Boeing 787 Dreamliner’s which suffered from at least four electrical system problems stemming from its lithium-ion batteries during its first year of service. Another disadvantage is that the chemical based energy storage are characterized by low life time (typically 3000-10,000 charging/discharging cycles). This study introduces the design of an entirely clean power system for rural areas. The utilization of wind turbine system to supply residential loads in an isolated area; i.e. there’s no connection to the grid. In order to assure that the entire system is clean and has no negative environmental impacts, a chemical free energy storage is attached to the wind turbine. A flywheel which is sometimes called “electromechanical battery” is used here as a clean energy storage. The operation of the flywheel is simple, it stores the electrical energy in form of kinetic energy in a high inertia rotating mass coupled to an electric machine. This machine is operated as a motor during charging and as a generator during discharging. The design and proposed topology of the proposed system will be presented. Moreover, simulation results to validate the efficient and reliable performance of the system will be shown and discussed. The simulation results reveal the superior performance of the system. It is successful to cover the loads and continue operation without any reliance on the grid connection. This configuration can help to promote more utilization of wind turbines. The proposed configuration compensates for one of the most disadvantageous properties of wind power which is the high intermittency. The progression of the Iron-ion/Hydrogen redox flow battery (RFB) system as a cost effective energy system has been impeded by the poor performance of electrolyte. We report here results of an improvement of the RFB electrolyte performance using a mixed electrolyte of iron sulfate and iron chloride and also ammonium iron sulfate and iron chloride. Present results show that the addition of Cl– increases performance of sulfate electrolyte. Similarly, the performance of the ammonium iron sulfate electrolyte was increased. Charging potential was reduced by about 50% for a mixed electrolytes of iron sulfate 50%(V/V) and iron chloride 50%(V/V) suggesting that a sulfate/chloride electrolyte system can lead to an improved charging/discharging of the Fe-ion/H2 RFB. Electrolyte performance criteria defined as “electron transfer efficiency” was introduced and using this criterion it was observed that a reverse addition of iron sulfate to iron chloride showed a decrease in the mixed electrolyte’s electron transfer efficiency equivalent to a decrease in electrolyte performance. Based on the results, a 100% pure 0.8 M FeCl2 corrosive electrolyte system can be replaced by less corrosive mixture of 46 mol % Cl– in 0.8 M FeSO4 to achieve the same performance of an all chloride electrolyte system. This presentation focuses on the economics of integrating thermal energy storage into natural gas combined cycle power plants for improved operational and economic performance of the utility grid. Costs and fuel consumption are modeled based on a Florida electric utility’s hour-by-hour load data under two scenarios: 1) no storage, and 2) thermal storage attached to intermediate load, NGCC plants, displacing energy production from older, less efficient NGCT peaking units. Due to the nature of the power grid, several of the older units feature abnormally high fuel costs and abnormally low thermal efficiencies. By shifting load from the most expensive peaking units to more cost-effective combined cycles with a 204 MWhth storage system costing about $4 million, savings of more than $1 million per year can be realized while also reducing CO2 emissions by about 5000 metric tons per year. These savings represent an internal rate of returns of up to 23% over a 30-year lifetime, depending on the initial cost of the storage system. The FAMU Spheromak Turbulent Physics Experiment (STPX) is a toroidal confinement plasma where the magnetic fields are produced by currents in the plasma and the toroidal field disappears at the wall. STPX, the world’s largest spheromak reactor, is a high-temperature plasma device that achieved first plasma on July 17, 2012, with plasma temperatures of 300 eV and 600 kA plasma currents. We propose to deploy modular fusion reactors–Spheromaks–as distributed energy resources (DERs) and integrate them into the smart grid. The Spheromaks would be deployed throughout the national transportation system as power sources, in conjunction with other types of DERs such as solar, wind, and smart roadways with integrated solar cells, to provide power to car charging stations and battery farms. Literature search was conducted on the current state of the concept of “renewable cities,” including the technology used, goals that have been set, and cities that are at the forefront of implementation. A paper was developed and looked at the question and an overview of why there is a push to make cities renewable and sustainable. The benefits are financial, environmental, and social in nature. Next, the sustainable technologies and practices that are currently being used in renewable cities, and ones that have been proposed, and was examined. Following this, the paper looked at the various organizations that are advocating for renewable cities, and the goals they have set. This also include discussion of criticisms of the concept. Finally, the paper looked at cities that are currently implementing renewable practices, including the flagship Masdar City in the United Arab Emirates, which was under-construction, the city that was designed to be fully sustainable. While Masdar City has had to scale back its ambitions, and Tianjin has set lower, more achievable goals, they are both proof that the technology can be implemented. Concern remains, however, over the costs. The best and most effective solution, perhaps, may be to implement renewable city design practices in today’s cities. Incremental improvement in existing cities and implementation of best practices as urban areas expand will, of course, be more achievable than building new, expensive cities from scratch. Renewable cities can utilize renewable energy. The solar panel is a widespread, easy to install and maintain renewable energy technology. It’s used everywhere from residential roofs to the renewable cities of the future. For example, in Masdar City, there is an 87,777 panel, 10-megawatt field of solar panels, along with building-mounted solar panels, and demand is kept in check by an impressive array of design features that minimize the need for air conditioning despite the hot desert locale. Depending on area’s location, for instance, cities near a coast would benefit from wave power, from which the U.S. Department of Energy (DoE) has estimated that 1,420 terawatt-hours of electricity could be captured per year. Cities in plains areas could take advantage of the ample wind energy. Geothermal power would be advantageous in areas with geologic formations that would allow cost efficient installation of these power generation plants, which the U.S. DOE has estimated can provide 130 gigawatts of power. With more cities implementing energy sources likes these, reliance on polluting, carbon producing fossil fuels would greatly be reduced. However, as models of ambitious goals, funded by nations with the desire and resources to develop them, renewable cities can represent the cutting-edge of what’s possible. Federally proposed carbon emission reductions, retirement of aging power plants and a population increase of about 15M people by 2040 are expected contributors for outstripping domestic regional electricity production in five southeastern states (South Carolina, Georgia, Florida, Alabama and Mississippi). For these particular states, projections at 2040 show a population of about 56 million and an anticipated electricity shortage of about 15,000 megawatts. Alternative renewable energy sources, such as shallow water tidal currents, represent possible considerations for closing the expected shortfall. From 2012-13, the World Meteorological Organization reported that atmospheric carbon dioxide concentration increased by 2.9 ppm to 396.0 ppm, a relative increase of 0.74% compared to the mean annual absolute increase of 2.07 ppm during the last 10 years. Separately, but due to increasing rates of CO2 concentration, the United States Environmental Protection Agency proposed regulatory reductions of about 30% by 2030. Concurrent yet disparate factors of increasing atmospheric CO2 concentration combined with mandated reductions, retirement of aging power plants, and population increases add to the looming resource problem of choosing which alternative energy sources are best able to help close the gap between electricity supply and demand for these states. Continuous and predictable shallow water tidal currents (<15m deep), as yet exploited to a serious extent, represent excellent opportunities for exploration and possible exploitation of a promising resource from which to convert kinetic energy into mechanical energy to drive generators and produce electricity. The proposed systems engineering model incorporates variables such as current speed, distance to the grid, turbine type, permitting, and cost of development to name a few. Examination, using factor analysis to determine correlation between variables, aids the discovery as to which variables have the greatest impact on the model. The proposed process model yields a numerical rating between 0-10 indicating whether one should consider applying financial resources to develop the tidal current resource against a given location. Output values 1-3 indicate a low or unlikely positive return on investment, 4-7 a neutral return on investment and 8-10 a likely positive return on investment. Model use provides decision makers (entrepreneurs, electricity generating companies, state and federal level resource managers, etc.) a means of quickly determining whether and where tidal currents represent opportunity to cost-effectively harvest electricity and potentially reduce the exigency associated with projected electricity supply and demand disequilibrium. Funded by FESC, Florida International University will develop a new online course in solar energy technologies, with emphasis on solar applications in buildings, taking into account the unique solar resource and infrastructure in the state of Florida. The new online course will be offered through the Department of Mechanical and Material Engineering at FIU. The course will be delivered completely online through FIU’s Blackboard Learn system. The scope of the course will cover the solar technology applications in buildings for electrical power and thermal energy generations with focus on integrations in heating and cooling systems. The course targets senior undergraduate students and entry level graduate students who study in FIU as well as other universities in the state of Florida. The course will be offered at least once a year. Students will earn 3 credit hours by taking the course in the Spring, Fall, and/or Summer semesters. Currently, the PI is in the process of preparing the teaching materials. The course “Buildings and Energy: Design and Operation vs. Sustainability” was designed with financial support from FESC in the form of an educational grant, and taught for the first time in Fall 2014. To achieve higher standards in building design and operation, a solid foundation of energy engineering and sustainability principles is essential. While there are a number of courses on the individual disciplines that affect building design and operation, there is no unifying course. At UF engineering in particular, there are no courses offered to students and industry professionals in energy topics particularly related to buildings, specifically for the design and operation in Florida climate conditions. This project fills this void through the development of an energy engineering course. The course was positively received by both undergraduates and graduate students who were enrolled in the Fall 2014 offering. Lessons learned from this first experience will be discussed. USF’s Patel College of Global Sustainability has created a Renewable Energy concentration track for students pursuing their M.A. in Global Sustainability. The energy track’s goal is to make Florida a national leader in educating, training, and preparing students for the green energy jobs of today and tomorrow. The new track was offered for the first time during the 2014-15 academic year. It consists of two graduate courses (3 credit hours each) that address the two forms of renewable energy, fuels and power. The courses, “Renewable Transportation Fuels” (in Fall) and “Renewable Power Portfolio” (in Spring), are offered both on-campus and on-line. The goal of the fuels course is to educate students about the technology, business, economics, financing, sustainability, and policy aspects of renewable fuels for vehicles and the aviation sector with emphasis on advanced biofuels. The goal of the power course is to educate students about the technology, business, economics, financing, sustainability, and policy aspects of renewable power production from solar, wind, geothermal, biomass, and ocean sources, renewable power storage, and smart grid. The courses were designed and are taught by faculty with expertise in renewable energy and involve the participation of invited guest speakers from industry that are renewable energy experts to enrich the students’ exposure to real-world problems and provide them with practical career development advice. A semester-long research project on a renewable energy subject provides students with the opportunity to apply research methodologies and study in depth the particular energy theme of their choice. Course evaluations are conducted using surveys developed specifically for these courses in collaboration with USF’s Department of Industrial Engineering. This education project is aimed at developing a stand-alone course content accessibility, conducting competitions and workshop that can be offered to undergraduate and graduate students at the Florida Polytechnic University as an elective. The proposed course “Renewable Energy Systems and Sustainability” (EEL 3287) is part of new discovery track of courses which will discuss a wide range of energy, sustainability and related applications, which will reflect on the various physical or online resources and how the hybridization of technologies will produce new opportunities for economic development. Some of the topics discussed include harvesting, renewability, sustainability, storage, materials utilization, renewable energy and sustainability entrepreneurship, smart grid and infrastructure integration. This course will create awareness and engagement of various renewable energy systems, technologies promoting sustainable, and economic development concepts supporting entrepreneurship among students and industry that impacts the workforce and the economy of Florida. Four undergraduate research projects in development at FL Poly are (i) 3D printing technology and Sustainability, (ii) smart solar electric vehicle, (iii) water purification using solar photocatalysis and (iv) hydrogen storage materials development for PEM fuel cells. This FESC funded educational project will have a positive impact on the academic community of undergraduate and graduate students and possibly general public, as well as potentially strengthening the research/curriculum capabilities of Florida Polytechnic University. This project will help the Florida Polytechnic University in establishing a track record in the field of STEM based research and also serve as a spring board to produce and solicit future grants for continuing research that will benefit our diverse student population. A substantial number of energy-savings technologies and techniques are readily available, yet the rate of adoption in commercial and residential settings has been slow (McKenzie-Mohr, 1994). Most programs that encourage sustainability focus on simply increasing public knowledge, despite the fact that information alone has been shown to only minimally affect behavior change (Frisk & Larson, 2011; McKenzie-Mohr, 200; McKenzie-Mohr, 2011). To realize actual behavior change, a more strategic approach is required, and outreach educators are encouraged to focus on behavior change when seeking to improve sustainability in their communities. Social marketing is a proven approach to creating behavior change, and is highly applicable to Extension and adult educational efforts (Rogers, 2003; Skelly, 2005). This approach applies principles of traditional marketing to influencing individuals’ behaviors to benefit themselves and the community in which they live (Kotler & Lee, 2008; McKenzie-Mohr, 2011). Social marketing has been used successfully for a number of energy-saving campaigns. Despite the fact that social marketing has been used extensively for decades in community health campaigns, and has more recently been used in successful environmental sustainability initiatives, many outreach professionals are unaware of this approach or unknowledgeable about how to apply it to their programs. There is a dearth of available training for outreach professionals on social marketing and other behavior change approaches. Therefore, the certificate in Cultivating Change is being developed to provide Extension professionals and other energy educators with the background and knowledge needed to apply social marketing principles to existing and future programs. This certificate program seeks to increase awareness of the major principles and tools that guide social marketing and increase participants’ ability to apply this strategy to energy outreach programming. This presentation will describe the online, self-paced certificate program targeting Extension and other educational professionals who conduct outreach education to encourage energy conservation. The aim of this educational offering is to improve the process of program delivery focused on sustainable behavior change within the context of energy usage. Ultimately, improved delivery strategies will increase the adoption of behavior change related to energy and other limited resource use. This educational program will be offered to environmental educators who work for a variety of institutions throughout Florida, including outreach professionals who work for utility providers, local government, nonprofit organizations, and solar power companies; energy teachers; and Extension educators who encourage the sustainable use of energy, water, and other limited resources. A pilot test of the program has been completed and feedback has been positive. Pilot test participants’ recommendations are being incorporated into the final version of the certificate program, which is slated to be completed in Spring of 2015. FESC has provided funding to UF’s Public Utility Research Center to create a class for upper level undergraduates on the economics of energy sustainability. The class is funded for two offerings. Energy sustainability is a popular topic, but fact-based and analytically rigorous discussions of the economic realities are rare. Florida students and other Floridians need to understand these realities so that they can make sound business and career decisions and to be informed citizens. The first offering of the class was taught at the University of Florida in the Fall of 2014 term. Four research papers from the Fall 2014 class were selected for a moderated session at the Bob Graham Center for Public Service. The session involved paper presentations by undergraduate students and answering questions from attendees. The topics presented were: (1) Ocean currents as a renewable resource for Florida, (2) Time to consider solar for sunshine sports, (3) Lack of sustainability in agriculture, and (4) Florida energy problems, options, and possible solutions. The current offering of the course is being video recorded and will be made available to Floridians for continuing education certificates. Topics covered in the course include: market structures, cost benefit analysis, tradable permits, subsidies, energy efficiency, economics of renewables, and transportation. A series of educational modules on sustainable energy are proposed. The modules will be incorporated initially into existing courses in sustainable energy, thermal fluids and senior design at the FAMU-FSU College of Engineering and later components will be used in non-engineering courses on sustainable energy. The proposed modules emphasize on real systems and devices to elaborate on relevant aspects of sustainable energy. In particular, we propose to develop the modules around FSU’s Off-Grid Zero Emissions Building (OGZEB), which serves as an energy efficient prototype for developing and testing sustainable energy technologies in residential settings. The modules will refer to the OGZEB and use its systems to illustrate different concepts. This will provide continuity to the material, and motivate students through exposure to concrete systems. The initial modules will cover solar photovoltaic systems and microalgae for biodiesel. The solar photovoltaic module will cover videos on solar irradiance measures, solar tracking and power converters for PV systems. The microalgae module will have videos illustrating the stages of the microalgae cultivation process and biomass extraction. In 2008, Florida’s legislature directed, via FESC, the Florida Energy Systems Consortium, the State’s University and College system to develop applied research and specific technical education pathways to allow Florida to meet its 2020 energy generation and demand criteria. The current strategy is entertaining a mix of conventional, nuclear, solar and bio-fuels for generation and a range of options to make Florida “green” within a “smart” grid. In that same legislative action, FLATE, the National Science Foundation Advanced Technological Education Center of Excellence for Florida, was commissioned to partner with FESC to prepare and execute a technician workforce plan that will put that energy workforce into place on time. This presentation will cover the history of this grant and related outcomes since its start in 2008. This will include recent work on sustainability staffing in Florida colleges, and on the current effort to help facilitate the development of a trained and skilled workforce capable of implementing a national clean-energy smart grid and providing for the next generation of skilled technicians, engineers and managers for the electric power industry. The University of Florida Nuclear Engineering Program (NEP) has seven primary faculty, five affiliated faculty, 100 enrolled undergraduate majors, and 40 masters and doctoral students. The departmental facilities include the University of Florida Training Reactor (UFTR), a uranium metal-fueled sub-critical facility, a high-output fusion neutron generator irradiation laboratory, 1 and 10 curie Plutonium-Beryllium neutron sources, a radiochemistry laboratory with a hot-cell and decontamination capabilities, a neutron activation analysis laboratory, and multi-user nuclear instrumentation laboratory work stations. The UFTR was designed and is used primarily for training and nuclear research related activities. The UFTR is a light water and graphite moderated, graphite reflected, light water cooled reactor of modified Argonaut-type licensed for 100 kWth power operation. The UFTR recently resumed operations after a multi-year facility refurbishment to upgrade the physical infrastructure, including new low enrichment uranium (LEU) fuel, nuclear instrumentation systems, process instrumentation replacement of the HVAC systems, physical security systems, and reactor instrumentation and control (I&C) systems. This refurbishment and ongoing project to add digital I&C systems will ensure the UFTR will remain operational for another 40+ years. The UFTR offers unique capabilities for training students enrolled at UF and other educational institutions as well as industry employees. Courses include a Radiation Detection Lab, Neutronics Lab, Reactor Experiments Lab, and Reactor Operations Lab. The Reactor Operations Lab provides industry and university student hands-on training on reactor operations, including in-depth experiments on reactivity and reactivity feedback effects. Advanced topics include: reactor startups and shutdowns, power operation and temperature coefficients, reactivity manipulations and heat balance, criticality configurations and delayed neutrons, and transient and abnormal operations. The Radiation Detection Lab is a comprehensive laboratory survey of the detection of ionizing radiation, sources, and associated electronics; the Neutronics Lab includes a hands-on introduction to the production and detection of neutrons; and the Reactor Experiments Lab includes reactor specific measurements focusing on experiments of fundamental importance to nuclear operation such as approach to critical, neutron flux, and neutron activation analysis. Can consumers really make choices that change their behavior and result in saving both money and energy? This stand-alone “lunch and learn” is less formal and less structured than normal. Nonetheless, this training helps people understand that their personal behavior, in regards to consuming energy, can result in big savings of both money and energy. Using the terms savvy and saving simultaneously can be a compelling reason for consumers to take a look at their behavior. Taking a personal look at behavior is important as people need to understand what is influencing their conduct and why making a change can be to their advantage. A consumer’s purchasing behavior can be: cultural, social, personal as well as psychological. Save Money: Be a Savvy Consumer of Energy touches on all of this while at the same time attempting to change personal energy consumption highlighting how personal behavior provides an ENORMOUS benefit both in saving energy and money at no financial cost. Participants also increase their knowledge about small investments that can provide short Returns on Investment (ROI) if installed correctly and used efficiently. Save Money: Be a Savvy Consumer of Energy also mentions the many ways a savvy consumer can spend money to save both money and energy. Influencing a consumer behavior through face-to-face contact allows individuals the chance to ask questions as well as be influenced by their peers. Consumers that learn in a non-threatening environment begin to pre-contemplate as well as contemplate the individual changes they can make. True valuation can be measured when individuals take action to decrease their consumption of energy as their new behavior soon becomes their new normal. Change happens. What better way to change than to engage in a more sustainable lifestyle with less consumption of earth’s limited resources. The UF/IFAS Extension Sustainable FloridiansSM program combines the knowledge base of university experts with a discussion and action format designed to help individuals take steps toward sustainability. Participants learn how to reduce resource consumption, save money, and become part of a transition to a more environmentally, socially and economically sustainable future. In the fall of 2014, UF/IFAS Extension in Brevard County delivered the program to 24 participants. Participants learned about various topics related to sustainability including energy, transportation, food systems, water, climate change, and consumerism. Additionally, the first and last sessions focused on why and how to be advocates for sustainability. Participants learned how to affect change in their community by removing barriers to change, critiquing information they receive, i.e., check for scientific accuracy, communicating with diverse audiences more effectively, and becoming more motivated and inspired to take on leadership roles within their community. At the end of the program, the majority of the participants agreed to meet bimonthly to continue networking with each other and with Extension faculty. The participants indicated they want to learn more about how to make a difference in their community by becoming agents of change. These meetings will consist of discussions on subject matter related to sustainability, community projects, sustainability action plans, and volunteer opportunities. Currently, many of the participants have taken action in their community by organizing or volunteering for sustainability events. Algae represent a substantial source of biomass with the potential to revolutionize the manufacture of bio-based products, including renewable transportation fuels and a variety of chemicals. Important techno-economic challenges are still to be addressed, such as low-cost production, downstream processing, and conversion to end products. Currently, large-scale algae operations depend on open ponds that experience low productivity and are vulnerable to contamination. Moreover, water and energy usage needs to be minimized to promote sustainable development. Hence, low-cost and high-efficiency microalgal cultivation systems are highly desirable. We present the design and scale-up of a horizontal bioreactor (HBR) for algae production. The HBR is scalable and low-cost, as it is modular and manufactured from inexpensive plastic film. By design it reduces water usage by 4-fold over open pond systems and minimizes the risk of contamination. The operation of a 65-L floating HBR prototype was previously demonstrated indoors and outdoors with high biomass productivities. An improved 150-L HBR prototype was designed and successfully deployed. High-density growth of the marine microalgae Nannochloris oculata was achieved without contamination issues. The energy consumption for culture mixing and CO2 provision has been reduced significantly by replacing the airlift module with a paddlewheel and gas micro-diffusers. Currently, the deployment of a 2,000-L scale-up version of the unit in an outdoor pond is underway to demonstrate commercial feasibility and assess the financial performance of the technology. Algae growth monitoring and remote control systems have been incorporated into the HBR and hydraulic testing of the unit has been performed to confirm its functionality. Semi-continuous operation is currently in progress. Synechococcus BG0011, a cyanobacterium isolated from a shallow lake in the Florida Keys possesses some unique characteristics which makes it an attractive candidate for production of biofuels and bioproducts. It can fix nitrogen, tolerate high salinity and secrete an extracellular biomaterial (ECB) which contains proteins and carbohydrates. Several factors can affect microalgae growth. The effect of light intensity, CO2 concentration, phosphorous concentration, and type of pH buffer were investigated in this study. Four, 500mL modified Pyrex glass bottles were used as photobioreactors (PBRs) for batch cultures. PBRs were sparged with sterile humidified air at 0.5L/min with different CO2 concentration. Cultures were exposed to 13/11 hour light/dark cycle using artificial lights. Temperature was 30±2? during light cycle and 22±2? during dark cycle. In all experiments inoculation was followed by a lag phase, an exponential growth phase and eventually a stationary phase. ECB production was initiated in late exponential phase and continued to be produced even after the growth had reached stationary phase. Dry weight and volatile solids measurements on centrifuged and separated biomass pellet and supernatant were used to quantify biomass and ECB production. Initial experiments were carried out using 4-(2-hydroxyethyl)-1-piperazineethanesulfonic acid (HEPES) which is an expensive organic buffer and serves well for microcosm experiments. But it is not an economical option for large scale cultivation. HEPES was replaced with NaHCO3. It was confirmed from long term cultivation using NaHCO3 buffer, that pH was maintained at 7.5±0.25?, and cell density, specific growth rate and ECB concentration was not different to that obtained using HEPES buffer. Increasing light intensity increased algae cell density and maximum specific growth rate (µmax). At low light intensity (60µmol photonm-2s-1) cultures sparged with a mixture of air and 1% CO2 reached 0.74g/L of biomass after two weeks of cultivation. Upon increasing the light intensity to 1200µmol photon m-2s-1, cell density increased to 2.2g/L of biomass. µmax also increased from 0.33day-1 to 0.55day-1 when increasing light intensity. Another experiment with five different light intensities have shown that before reaching the light intensity saturation point, µmax is proportional to the light intensity. Under low light, increasing CO2 content of air does not improve cell density or maximum specific growth rate. But at the higher light intensity, cell density increased from 1.0g/L to 2.2g/L when air was enriched with 1% CO2. However, µmax was not affected. Cell density was not improved at 5% CO2 compared to 1% CO2. The effect of phosphorus was studied at concentrations of 0.012, 0.024, 0.05 and 0.1g/L of K2HPO4. µmax was 0.26, 0.33, 0.69, 0.58 day-1, biomass dry weight was 1.8, 2.3, 3.7, 3.9g/L and ECB dry weight was 3.2, 4.1, 4.4, 4.0g/L respectively. The result shows that, as phosphorous concentration increases, cell density increases but ECB content does not increase appreciably. After two-month cultivation, nearly 4g/L of biomass and about 4g/L of ECB can be produced, that is, a total 8g/L of organic matter is obtained which can be used as feedstock for biofuels and bioproducts. A patent-pending method, the Isolated Cultivation of Algal Resource Utilizing Selectivity (ICARUS), to cultivate microalgae in wastewater is introduced. The photobioreactor is a hybrid open/closed system, where the bottom of the ICARUS reactor is a membrane. The membrane bottom restricts the passage of invasive organisms (i.e., grazers, competitors), protecting the algal crop from infection and contamination. Enhanced crop protection allows high value biofuel species to be cultivated using wastewater, a virtually impossible feat without ICARUS. The sub-micron porous barrier allows the free passage of water and dissolved constituents (CO2, N, P) and decouples the culture from the growth medium, increasing the nutrient pool. It shields the culture from shock loads and fluctuations in quality due to dampening by mass transfer. Wastewater is a near infinite sink for waste products (such as O2) and regulates culture temperature and pH. The reactor floats in existing infrastructure (wastewater tanks), capitalizing on typically restricted space. Initial proof-of-concept screening of eleven membranes of varying porosity and materials compared algal productivity in ICARUS to that of cultures suspended directly in media. In many cases, ICARUS had a significantly higher final cell density than control cultures. The initial screening also hinted at pH regulation and crop protection, which were tested in extended field conditions. Three membrane types were trialed in ICARUS reactors floated in a wastewater clarifier for three weeks. The homogeneity of the algal culture was maintained in membranes of lower pore size, demonstrating the technology’s ability to safely cultivate a high value crop in wastewater. Dissolved constituents moved freely across the membrane, and ICARUS promoted a higher cell density and longer exponential growth phase than control cultures. ICARUS achieved twice the cell density typically seen in closed photobioreactors (4 g L-1, Chisti, 2007); higher cell density is important in reducing downstream harvesting and dewatering efforts for biofuel processing. Modelling efforts have estimated biomass productivity, nutrient removal, and biofuel production. The predictions assume installation of ICARUS reactors at various treatment stages at the local wastewater treatment plant (Tampa, FL) where initial field studies occurred. Field data was used, when available, for biomass productivity and wastewater quality, and literature values were used to extrapolate nutrient uptake and cost savings. Assuming a biomass productivity rate of 19 g m-2 day-1 (field data), it is estimated that the surface area provided by the secondary (10752 m2) and tertiary (7848 m2) clarifiers would produce more than 100,000 kg of biomass annually, a typical target of large-scale biofuel production facilities. Utilizing all available space (1°, 2°, 3° clarifiers and the nitrification basins) could yield more than 143,000 kg of biomass per year. Wastewater nutrients (N, P, CO2) were found to be in excess, even at higher assumed productivities. Due to the development of the ICARUS cultivation method, where high value algal crops remain protected from competing biology, the existing infrastructure of wastewater treatment plants can become a substantial contributor to algal biofuel production. This project is investigating the potential for energybeets and industrial sweetpotatoes as feedstocks for biofuels and biogas in South Florida. A major goal of the studies is to determine if these crops might be part of economically viable industry as replacement for several hundred thousand acres of citrus that has been taken out of production due to huanglongbìng (HLB) disease. On-going field trials at the Indian River Research and Education center are documenting cultural operations, input costs, and potential yields for these crops grown on sandy, flatwoods soils. These data, along with lessons learned for energybeet trials conducted during the 2013/2014 winter season and for summer 2015 sweetpotato crops are presented. In addition, preliminary data from lab studies looking at optimizing processes to convert sweetpotatoes to ethanol provide promise for the long-term viability of these feedstocks as feedstocks. The establishment of a biofuel industry based on these two crops has the potential to significantly benefit regional and local communities and to provide enormous gains for agriculture, especially in areas where diseases have taken out citrus groves. Sweetpotato is a relatively low maintenance, high-yielding crop that can be used for human consumption or biofuel production. Varying perspectives exist on whether sweetpotatoes should be grown for food or fuel. However, the value of the vines, the aerial portion of the plant, is rarely considered. Sweetpotato vines are often discarded but can be used for human consumption, animal fodder, or bioenergy. Vines represent an agricultural residue that is readily available as a feedstock for anaerobic digestion to produce methane. The agronomic yield of aerial vines varies widely depending on the variety, the region, soil type, time to harvest and irrigation schedule. To maximize the full potential of the sweetpotato crop, the vines must be utilized. The objectives of this study were to measure the agronomic vine yield of three different sweetpotato varieties and to evaluate their methane potential to determine which variety should be selected to promote the highest energy recovery from the vines. A field trial was conducted in Gainesville, Florida to determine vine yields from two table sweetpotato varieties (Hernandez and Beauregard) and one industrial variety bred specifically for ethanol production (CX-1). Thirty-two unrooted vine cuttings were planted 1 foot apart in a raised bed, with three replications, for each variety. Soils were identified as a loamy Blichton sand, gently sloping and poorly drained. Fertilizer (N:P:K-6:6:6) was applied at 1400 lbs/acre and rainfall was 30 inches with no additional irrigation. The vines were harvested by hand 165 days after planting and weighed to determine vine yields. Following harvest, the vines were dried, milled to 0.85 mm, analyzed for in-vitro organic matter digestibility (IVOMD) and nitrogen (N), and evaluated for methane potential. Methane index potential (MIP) batch assays were conducted in triplicate at mesophilic (35ºC) temperature for a total of 30 days. Fresh vine yields for the CX-1, Hernandez and Beauregard cultivars were 20.0, 19.3, and 11.6 tons/acre, respectively. The vine yield to root yield ratio on a DM basis was 1.64:1 for CX-1, 1.50:1 for Hernandez, and 0.65:1 for Beauregard. These results indicate that vine yields vary based on the variety, even when all other environmental factors are consistent. Based on the vine yield combined with the vine-to-root ratios, the CX-1 variety is preferred in terms of maximum biomass production. The methane potential of the vines depends on several factors including the organic fraction and degradability of the material. The organic fraction, or volatile solids (VS) concentration, for all three varieties was the same (89% DM). The portion of the organic matter that is digestible within the context of a ruminant is represented by the IVOMD, which was highest for the CX-1 vines (75%) compared to Hernandez (62%) and Beauregard (64%). The methane yield obtained from the MIP assays was also highest for the CX-1 vines. The N concentration was the same for all three, so the digested material would contain the same essential nutrient concentrations for use as a fertilizer. Therefore, the CX-1 variety is the most advantageous for utilization of the vines as bioenergy feedstock. 1.) In collaboration with FESC, TCRP convened the ABF Feedstock Certification Working Group. This Working Group is focused on validating multi-year crop rotations and agronomy for commercial production of ABF sugar and starch crop feedstock; and securing EPA certification of industrial sugar and starch crop feedstock under EPA’s Renewable Fuel Standard 2.0. 2.) In collaboration with FAA CAAFI and USDA RD, TCRP is leading the “Florida Farm to Fly” market research program to identify barriers to expanding ABF cultivation and processing in Florida faced by the transportation and agriculture industries. 3.) In collaboration with UF IFAS and USDA ARS, TCRP established an industrial sugar and starch crop ABF feedstock cultivation and processing demonstration facility on 120 acres within TCRP. This facility will operate in collaboration with existing Florida research programs to foster grower adoption of the latest hybrid sugar and starch crop feedstock, cultivation and commercial handling practices. This presentation will provide background on the Treasure Coast Research Park, the transportation industry’s need for advanced biofuels, the potential market opportunity and identified barriers to expanding the ABF supply chain in Florida. The borehole tapping method was used to extract oleoresin from the xylem in slash pine (Pinus elliottii) in North Florida. This closed collection system allows for the recovery of higher quality resin, which can be used for a variety of commercial products as well as a natural liquid biofuel. Conifers produce oleoresin naturally as a biochemical defense against plant pests, such as boring bark beetles. The objectives of this project are to develop cost effective methods to collect oleoresin in North Florida and assess the feasibility and impact of expanding collection of pine terpenes for renewable chemicals and biofuel production on a large-scale. Treatments were applied manually using a gas powered drill as well as with an automated drilling machine mounted on a tractor designed to drill 3 connecting boreholes at the base of the tree. Oleoresin yields were compared from North Florida slash pine plantations aged 11, 15, and 22 years collected in the summer and fall. Oleoresin yields increased with stand age and DBH, as well as in stands managed for pine straw raking. Methyl jasmonate stimulated higher rates of oleoresin production compared to all other chemical stimulants. The growing energy demand along with the inevitable depletion of fossil fuels warrants finding alternative fuel options. Biogas from degradation of municipal solid waste and other sources of biomass is considered here as a renewable potential carbon neutral source for conversion to value-added products in high demand such as diesel fuel. One main challenge with biogas-to-liquid (BGTL) technology is the issue of scale, which warrants large scale facilities to achieve profitability. However, large scale facilities is not congruent with landfill gas and biogas. The second major challenge is contaminant removal prior to processing. The current research addresses one of the primary “show-stoppers” preventing the first challenge of small-scale distributed BGTL facilities, which is the conversion of biogas (primarily methane and carbon dioxide) to syngas (H2 and CO) at temperatures similar to the fuel synthesis. Our results showed that Pt and Pd doped Ni-Mg/(Ce0.6Zr0.4)O2 catalysts are able to achieve substantial conversion of CH4 and CO2 at temperatures approaching those of the fuel synthesis process. With these promising findings, we are currently synthesizing a composite catalyst that also contains a conventional Fe-based catalysts for the fuel synthesis, to test in the intensified process. It is anticipated that the mass and energy integration achieved by the intensified process will substantially enhance the techno-economic feasibility of BGTL technologies. Marine microalgae could potentially serve as sustainable feedstock for biogas production in an anaerobic digester. However, high salt concentration in the microalgae biomass, may inhibit the growth and activity of anaerobic digester microorganisms. Conventional anaerobic digesters will have to be acclimatized to high salt containing feedstocks. In this paper the changes in the microbial community structure and performance of mesophilic (38oC) and thermophilic (55oC) digesters while being acclimatized is presented. Two 5 liter anaerobic digesters (4 liter operating volume) were used. These were modified Pyrex glass bottles and placed inside temperature controlled chambers and agitated using a magnetic stirrer. Inoculum for mesophilic digester was 4 liters of mixed liquor from a pilot scale digester treating flushed dairy manure and inoculum for thermophilic digester was leachate from a leach-bed digester treating organic fraction of municipal waste. The operational protocol involved feeding both digesters with black-strap molasses, and increasing sodium chloride content gradually. Initially 0.5g of molasses along with other nutrients and sodium chloride dissolved in 100 ml of DI water was fed after withdrawing 100 ml of digester mixed liquor. The feeding process was stopped when methane production ceased and restarted it when methane production picked up. Molasses amount was then increased stepwise to 2g, 3g, 4g and 5g, and the digesters were operated at each level for a few days. The digesters were operated for over 300 days. Microbial community was analyzed to monitor changes in the microorganisms. pH, salinity, and total volatile fatty acids (VFA) were monitored. Biogas vented from digesters was scrubbed to remove CO2 by passing the gas through soda lime. The scrubbed gas was metered using a positive displacement gas meter. Results showed that the acclimation to salinity is an inhibition-and-recovery process. For the mesophilic digester, from an initial salinity of 1.28% as it was increased gradually, methane production rate fluctuated and pH gradually decreased from 6.9 to 6.65. When salinity reached 3%, the methane production ceased and feed to digester was stopped. Total VFA ranged between 5.48 – 15.65 mM. After period of 40 days methane production picked up, feeding was continued but only 50ml of feed was added. Similar trends were observed in the thermophilic digester. Starting the operation with the salinity of 0.63% resulted in a complete cessation of methane production at salinity of 2.3%, but picked up after 60 days. pH varied between 6.5 – 7.2. After a prolonged period time, microbial community in anaerobic digesters can be adapted successfully to at salinity levels of 36 – 38 NaCl g/L and methane production was sustained. The mesophilic digester has been operating at a salinity of 3.8% for over 75 days with a yield of methane of 170 ml/g molasses, which is about 72.65% of the theoretical yield. The thermophilic digester has been operating at a salinity of 3.6% for over 45 days with a yield of about 192 ml methane/g molasses, which is about 81.2% the theoretical yield. We have conducted work that demonstrates the proposed continuous biocatalytic process efficiently converts low quality biomass into alkyl esters of fatty acids. A continuous stirred-tank reactors (CSTRs)-in-series reaction system has been successfully commercialized by Viesel Fuel LLC to produce biodiesel from low quality feedstocks. It is the most efficient and economical process of biodiesel production requiring only moderate temperatures and pressures and producing a 99% conversion yield with low grade feedstocks, such as waste cooking oil, animal fats, brown grease, FOG, etc. Development of concentrated solar farms is becoming more common in the United States. Several states are taking the lead in solar energy production, and many other states are not far behind. With many European countries setting an industry-leading standard, a detailed comparison between the United States’ developing renewable energy initiative and Europe’s long-established energy action plan illustrate areas where the United States can further succeed in investing in renewable energy. An analysis of global horizontal irradiation maps suggests that, geographically, the United States’ solar energy production could exceed solar energy production in Europe. Even with lower average solar radiation when compared to the US, the European Union has been tremendously successful at developing solar energy technologies, primarily through their innovative financing and Feed in Tariff strategies and through community buy-in. Therefore, development of American solar facilities is critical to the United States’ renewable energy portfolio. Rapid development of solar technologies and attractive government incentives have contributed to the growth of concentrated solar fields in both Europe and the United States. There are numerous benefits of solar energy production. In addition to the obvious carbon reduction benefits, construction of solar fields also increases job opportunities and helps diversify the local economic portfolio. There are a few negative issues associated with solar field development, including land use compatibility issues, environmental impacts and aesthetic impacts to a community. However, learning from and improving upon Europe’s successes in renewable energy, more American policy and guidance documents are being developed to assist in proper design and development of solar facilities across the country. Through proper policy and design, the United States can utilize concentrated solar energy development to increase its renewable energy portfolio and diversify its energy supply. Join us! Sign the petition TODAY! Visit www.FLsolarchoice.org to learn more about the benefits of customer solar energy options. Sign up for free updates and help spread the word. Together we can remove unfair state policies that block competition and encourage monopoly control of our energy choices. We can join other states and open the door to a truly free market that allows competition, choice and energy freedom. As of 2005, the United States government has created many initiatives to reduce Carbon Dioxide (CO2) emissions by 17% by 2020. As of 2014, CO2 emissions have been reduced by 10.7%. It can be concluded that the most viable way to decrease these emissions, the remaining 6.3%, is through the introduction of more renewable energy sources. Solar power has great potential to aid in this reduction, but only if it is implemented on a larger scale, as solar energy only accounts for 0.3% of the energy consumed in the United States. To explore the feasibility of this expansion, it is important to understand how solar electricity can be generated in rural and urban environments, as well as the benefits and disadvantages to large-scale operations. It has been concluded that the amount of rural land required to provide the entire United States with power is equivalent to approximately 13.4 million acres. If the capital investments could be made, large solar farms could be a feasible option for providing power in the United States, particularly to the southwestern section of the country. The southwest region of the U.S. is a region of high solar radiation levels, make it an ideal area for placing solar energy system. The U.S. Department of Interior’s Bureau of Land Management currently manages 19.3 million acres of public land in the southwest states of California, Nevada, Arizona, New Mexico, Colorado, and Utah. The Bureau has assessed the land and determined the best locations suited for utility—scale production of solar energy, they have come to define these locations as solar zones and there are 19 of these solar zones. If the 19 designated solar energy zones are to be fully built out as planned, the designated areas could produce as much as 27,000 megawatts of solar energy. This is enough energy to power approximately 8 million homes. Solar power has already been integrated into some urban areas of the country, namely, San Diego, California. It has been determined that the installation of solar panels atop of houses, buildings, and parking garages would easily suffice San Diego’s energy needs. By following this model for other larger cities it is possible to similarly reduce the use of fossil fueled power production in urban areas. Local governments are also key factor in establishing policies that promote small-scale solar power production in these urban areas. It is feasible that large solar farms in rural locations and small-scale urban installation may lead to more innovative applications for solar power and help United States reach their emissions goals. Given the sustainable, clean, and abundant nature of solar energy, studies on photovoltaic devices for energy conversion to electric energy have been extensive. However, due to large variation of the solar energy availability in a day, energy storage is required in many applications when solar cells are used. Conventionally, the harvested energy is stored in an external device (i.e. batteries or supercapacitors) which adds substantially to the costs of solar energy systems, requires additional charging circuitry, and needs regular maintenance and replacement. The result is a relatively expensive and bulky system that is not ideal, particularly for portable, off-grid applications. Recently, we have found that a combination of a conducting polymer (PEDOT:PSS) and a porphyrin based dye molecule can be used as an electrode in a photoelectrochemical cell to generate electric charge from solar energy and store the charge in the device. The structure of the device is very similar to a supercapacitor, while the conducting polymer-dye composite film behaves likes a photoactive electrode. The device is able to generate up to 0.49 V under the open circuit conditions upon AM1.0 solar radiation. A charge stability (in dark) of more than 2 hrs has been achieved after charging the device with light for 20 min. The organic photoactive supercapacitor can deliver currents up to 0.12 mA/cm2. The electrochemical study suggests a photoelectrochemical reaction at the composite film. Hence, the charge storage is likely due to the change in the polymer oxidation state. Atmospheric pressure chemical vapor deposition (APCVD) is a versatile manufacturing process that offers much promise in enabling significant efficiency gains and cost reductions for crystalline silicon (c-Si) solar cells. In this presentation, recent results on the deposition and subsequent processing of functional oxide films using an in-line, high throughput APCVD system will be reported. The materials deposited in this work include aluminum oxide, titanium oxide, silicon oxide, and doped silicon oxide. These oxide films and film stacks can be utilized for doping (e.g., emitter and surface field formation), surface passivation, and photon management on the front and rear side of c-Si solar cells. Experimental data regarding the microstructure, optical properties, and electronic properties of the films will be presented, along with the impact of these films on cell efficiency and other relevant cell parameters. Implications of these results for standard and novel c-Si cell architectures will be covered. Levelized cost of energy (LCOE) of a PV project is calculated as the total project cost divided by the total energy produced during the project lifetime. LCOE of PV technology needs to be reduced significantly in order to make solar energy cost competitive with other energy sources without the need for any subsidies. Reliability of PV modules affects the degradation rate, project lifetime and the uncertainty in the energy production (discount rate). 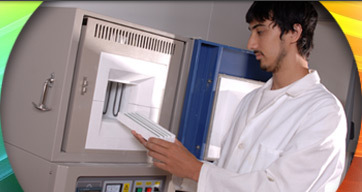 Accelerated tests are typically used to assess the durability of PV modules and components. Only when precise acceleration factors are available, module/component performance in accelerated tests can be used to predict the lifetime in field. Bypass diodes are primary components in PV modules that provide protection against shading. Whenever a PV module is partially shaded, the diode corresponding to the shaded sub-string of cells is forward biased and its temperature begins to increase. If the shading is held constant, the diode eventually reaches a state of thermal equilibrium. The maximum diode temperature is determined by the ambient temperature and the diode current. These parameters in turn depend on the module mounting configuration, geographical location, solar irradiance, shading configuration and the load connected across the module. Bypass diodes used in PV modules are expected to endure much harsher conditions for much longer duration than their counterparts used in consumer electronics. The extended bypass diode test in Qualification Plus standard developed by NREL involves passing current equal to short circuit current (Isc) of PV module through the diode for 96 hours, at 75 C ambient temperature followed by 1 hour at 1.25 x Isc current. The goal of present study is to determine field equivalent of the extended bypass diode test in three representative climatic zones- hot-dry, hot-humid and temperate and two module mounting scenarios – roof mount and rack mount. Thermal resistance of various junction boxes is experimentally measured at various diode temperatures. Outdoor data about diode temperature is used to validate the one-dimensional thermal conduction model for predicting diode temperature from the Typical Meteorological Data (TMY) and the properties of the diode / junction box. Hourly diode temperature distributions at three locations for the typical year are calculated. Arrhenius relationship and activation energies provided by JEDEC are used to determine the acceleration factors and field equivalents of the extended bypass diode test. Cracks in solar cells can lead to a reduction in the module power output instantaneously or over time. They are also known to play a role in other reliability/safety issues such as optical blemishes, hot spots, and arcing. As a result, there is much interest in being able to prevent the formation of crack during cell and module manufacturing and subsequently in the field. This work seek to understand critical factors in the formation and the propagation of cracks in monocrystalline silicon solar cells. More specifically, we have investigated the relationship between residual stress within the silicon substrate and the formation of crack as well as the effect of potential crack initiation sites in the form of laser scribing. Nanostructures are becoming key aspects of numerous next-generation energy devices, including photovoltaics, thermoelectrics, ultracapacitors, batteries, and piezo electrics. However, fabricating and integrating these structures into devices requires control over multiple interfaces. Many of these devices also require substrates with specific properties of flexibility, transparency, and lightweight. These issues are more problematic in the fabrication of arrays of vertical nanowires. For most energy applications, ultra-high surface area nanowire arrays are necessary to maximize device efficiencies beyond their current limits. Thus, the key challenge lying ahead is not only to improve methods to maximize the surface area of these nanostructures but also to fabricate them onto desired substrates with optimized interfacial properties. Our group focuses on developing novel fabrication processes for ultra-high density nanostructured surfaces that allow control of interfacial charge transfer and bulk charge transport. These nanostructures are then integrated into photovoltaics, thermoelectrics, and ultracapacitors. In this presentation, we will focus on improving electron recombination in dye-sensitized solar cells (DSSCs) based on vertical nanowire arrays. There have been significant achievements in polymer solar cells (PSC) in the last five years, notably a significant increase in power conversion efficiency (PCE) with the addition of the perovskite absorber layer and formation of inverted PSC. Recently, a team from Korea was able to achieve a PCE of about 18% by blending methylammonium lead bromide with formamidinium lead iodide through an 85:15 mixture. Several methods have been proposed by different researchers to improve the PCE of PSC over the years. Some of these methods include addition of functional groups and monomers, addition of optical spacer, modification of printing and processing techniques, addition of absorber layer material, and development of new active layer material. Current challenges in perovskite-based PSCs include improving efficiency by understanding the material properties and optimal cell designs, replacing toxic Pb with non-toxic element, long-term stability, and higher efficiency through structural modification and band gap tuning. The purpose of this project is to support educational research in Smart Solar Electric Vehicle Technology and practical applications, help advance educational initiatives, the technology with local corporations, and to develop team building concepts. The project will explore the application of advanced materials, processes, structural properties and functionality. A critical component of this effort will explore autonomous vehicle innovation to address the emerging issues around smart vehicle infrastructure. The Smart Solar Electric Vehicle Technology will be integrated into the existing development effort for the course “Renewable Energy Systems and Sustainability” (EEL 3287) and student projects. An 8.25 kW rooftop system installed in a hot and humid climate was baselined and tracked for a decade. The system consisting of over 150 solar modules was installed at the Florida Solar Energy Center (FSEC) in 2004. At the time of installation the modules were typical of the high quality modules commercially available. Prior to installation, the performance for each module was measured using an indoor solar simulator to obtain I-V measurements at standard test conditions. At the conclusion of the decade a subset of these 55W mono-crystalline solar modules were inspected and characterized. Electrical performance data of the modules was collected both before and after cleaning to understand influences of dirt accumulation. Additionally, module leads/connectors were tested for resistive losses. Defect detection was carried out using electroluminescence imaging to provide insight into the degradation mechanisms leading to performance loss. The objective of this work is to provide valuable statistical information regarding the long-term reliability and degradation rate of c-Si modules in the hot and humid climate of Florida. Solar Energy Research at the University of Florida is focused on innovative approaches to energy conversion processes, primarily through solar thermochemical pathways. This involves research ranging from the discovery of redox active metal oxides (e.g. perovskites, doped ceria), the characterization of their thermodynamic and kinetic properties, and finally to the development of application scale technologies such as solar thermochemical reactors, solid oxide fuel cells, and oxygen separation membranes. Research is primarily conducted in two locations: 1) at the High Flux Solar Simulator (HFSS) Laboratory located at UF’s Solar Energy Park and 2) at the Solar Thermochemical Energy Conversion (STEC) Laboratory located on the main campus in the MAE building. The HFSS is one of three located at academic institutions in the United States and is specifically designed to test high temperature thermal receivers and thermochemical reactors under realistic conditions. It is capable of delivering up to 10 kW of high flux radiation (5000 suns peak) using Xe-arc lamps with a photo-spectrum similar to sunlight. The simulator laboratory is fully equipped with data acquisition and control hardware (temperature, mass flow rates, pressure) residual gas analysis (mass spectroscopy and NDIR) and is fully compatible with a range of reactor geometries and sizes. Beyond testing concentrated solar power receivers and solar thermochemical reactors, this device is well suited for testing materials and/or engineered structures for a range of high temperature applications. The STEC Conversion Laboratory is equipped with a high temperature (up to 1600 °C) thermogravimetric and differential thermal analyzer (TGA and DTA) to characterize fundamental thermodynamic and kinetic data of solid oxides and heterogeneous reactions. Furthermore, it is equipped with an automated thermal cycling furnace designed to subject samples to multiple cycles at high temperatures with a range of reactive conditions to study the effect of cycling on their chemical, morphological and mechanical behavior. The laboratory is well suited for chemical synthesis and serves as a fundamental counterpart to more applied scaled-up reactor development and device testing at the HFSS laboratory. The synthesis of chemical fuels from sunlight is a research area that has attracted significant attention in recent years due to the potential of providing a fully sustainable pathway for transportation. Due to the high energy density and the existing global infrastructure for fuel transport and handling, the storage of solar energy as a fuel is a superior concept. The high temperature solar thermochemical approach uses water and recycled CO2 as the sole feed-stock and concentrated solar radiation as the sole energy source. Thus, the solar fuel is completely renewable and carbon neutral. Though very attractive, economically viability (with conversion efficiency greater than 20%) will require well-designed energy conversion devices to maximize the overall conversion efficiency. The current world record efficiency is less than 2%. The University of Florida (UF) Solar Fuels Team has designed, fabricated a 10 kWth prototype solar reactor for H2 and CO production from H2O and CO2 splitting via redox cycling of cerium oxide. It consists of a horizontal cylindrical cavity that absorbs the concentrated solar power from the UF High Flux Solar Simulator (HFSS) through a windowless aperture, and an array of 14 cylindrical tubular absorbers arranged at the circumference of the cavity. Reactive materials are loaded in the tubes and indirectly heated by the concentrated solar power. Using a vacuum pump to enhance the thermal reduction, and applying the scheme of simplified axial flow during oxidation, experimental demonstration for more than 50 redox cycles have been conducted. The 11-tube experimental data (almost full capacity of 14-tube) over 6 consecutive redox cycles showed conversion efficiencies greater than 5% without optimization of operation conditions. The Team has been optimizing the operational conditions to maximize the conversion efficiency. Solar road technologies are a big part of our future and important in the pursuit of powering the world’s infrastructure with clean, carbon emission free energy. This paper will explain how the technology works, the associated cost of its implementation and the benefits as well as the detriments to its commercial availability and use. The end result is to have all concrete and asphalt surfaces with exposure to the sun be covered with Solar Road Panels. Many asphalt pavement issues will be eliminated with solar panel roads, including iced over roads, potholes, lengthy maintenance, and repair. With these problems gone, cost from traffic congestion will decrease and safety will increase. Vehicle safety during wet conditions is just as adequate as asphalt pavement and will also improve night driving safety with LED lighting. Implementation will be a lengthy process, but the enormous benefits solar roads offer are unmatched and vital to our nation’s future growth. These benefits that are provided by solar roadways sometimes come at a price. Taxes being the main form of payment for any roadway and those same taxes will have to rise in order to compensate for the rise in technology. However, it can be seen that with the amount of energy that can be collected and distributed, it works out in the long run. Solar roadways can be used for multiple utilities merging them to one energy source (Cable TV, Internet, Telephone, etc.). Thinking about the issues natural fossil fuels bring to this planet, using solar roadways to capture a natural form of energy allows us to stray away from the limited supply of fuel left, and allows us to keep our planet safe from the harmful effects those fuels have. When all is said and done, the cost of new technology is well worth the advancement these roadways provide us. While there are small-scale applications of this technology in existence, having it become a widely-accepted way of building infrastructure will take a great amount of time and effort. However, the research showed that the benefits of applying this technology to new and existing infrastructure greatly outweigh the costs and can become a primary and widely-applicable renewable energy technology in the future. In every major American city, buildings account for the majority of energy use and carbon pollution–even more than the transportation or industrial sectors. If cities want to be more competitive and more resilient against energy-related crises, they must boost the energy efficiency of their building stock. In the City of Orlando, 6% of the number of buildings contribute to 57% of the impacts regarding energy use and carbon pollutions, showing the improving the energy performance of these buildings will yield significant, rapid results to reaching our energy and climate action goals. However, in order to achieve significant energy savings, cities must know how much energy their large buildings are using in the first place. As a participant of the City Energy Project, the City of Orlando is developing a framework of policies and programs that will increase energy efficiency investments in commercial, multifamily, and industrial real estate sectors. This multi-faceted approach will work on improving the city’s municipal building portfolio, enabling actionable information about energy use, creating new financial instruments, developing custom incentive programs for improve performance, crafting new workforce development programs that educate building operators, exploring new energy codes and green building standards (for new construction), and launching creative ways to spur investments through competitions. This presentation will unveil the overview of City Energy Project initiatives, and disclose what the City of Orlando is working on to become a national leader in energy efficiency for new and existing buildings, as part of Mayor Dyer’s Green Works sustainability program. The Department of Housing and Residence Education at the University of Florida maintains 33 administrative buildings encompassing 180,264 square feet, 44 residence halls encompassing 1,829,459 square feet of space housing 7,568 single students, and 87 buildings in Graduate and Family Housing encompassing 842,120 square feet of space housing 1,900 residents in 980 apartments. The overall average age of all facilities is 52.8 years. Corry Village, comprised of 100 single bedroom and 116 two bedroom apartments in 13 separate buildings, opened in 1959. In addition to meeting the Green Building Goals outlined in the University of Florida’s Housing & Residence Education 2012-2018 Master Plan, building remodeling will meet/exceed all “green building” strategies for the Unites States Green Building Coalition (USGBC) Leadership in Energy and Environmental Design (LEED) certification program. The ultimate goal is to reduce energy and water consumption of dwelling units through best designs, materials, product selections, and tenant education. Florida has one of the largest shares of multifamily housing units nationwide. Of the state’s approximately one million low-income renters, nearly one-quarter (~238,000) live in assisted and public housing units. At the same time, analyses of trends in Florida’s housing cost data (rent plus utilities) and tenant incomes conclude that increasing numbers of low-income renter households face moderate to severe housing cost burdens. This poster and presentation describes preliminary results of a data-driven, three-year multifamily research project supported by the John D. and Catherine T. MacArthur Foundation under the umbrella of their “How Housing Matters” initiative. The study is a collaborative effort being led by faculty with the University of Florida’s Shimberg Center for Housing Studies and Program for Resource Efficient Communities. The ultimate study goal is to help identify effective pathways to alleviate housing cost burdens being borne by those who can least afford them: low-income renters. One phase of the research is to characterize the energy efficiency of the Florida Housing Finance Corporation’s (FHFC) portfolio of subsidized, multifamily residential developments. To do so, we rely on a database that matches monthly property, unit and tenant household data from FHFC’s Tenant Data Reporting System with energy billing data from three municipal utility companies. Our FHFC housing sample includes over 100 multifamily properties (~14,500 units) in Gainesville, Jacksonville and Orlando. The analysis is divided into two parts. The first explores the variation in median energy consumption by unit and household characteristics, including number of bedrooms, household size and composition, funding year, tenant income, and the presence and types of federal rental assistance. The second describes variation in energy use across the whole portfolio and within individual properties, with a focus on “top tier” users with high energy consumption and costs. Median annual electric use for units in the three territories ranges from 7,400 to 8,700 kWh ($890-1,044/yr). This level of consumption is slightly lower than the U.S. DOE’s estimated average electricity consumption for multifamily rental units in the South Region (9,202 kWh/yr), and considerably lower than the total average multifamily energy use for all fuels (12,162 kWh/yr). Preliminary analysis results are consistent with expectations: units with more bedrooms, larger households, and families with children have higher median consumption levels, while smaller units and households and elderly tenants tend to consume less. However, extremely low-income tenants do not use less energy than tenants with more moderate incomes, placing them at risk for a high energy-cost burden if utility allowances are not adequate. High consuming units are spread throughout the portfolio rather than concentrated in a few poorly performing complexes, so efficiency initiatives that target the high consumption units across several properties may be more effective than a few whole-property retrofits. To design effective initiatives, we first must identify the role of tenant behavior and household characteristics versus physical unit factors in generating high electric use. Future research will include a more detailed analysis of interactions between building features, occupant demographics, and behavior over time. Multifamily buildings are an important target for efficiency improvements because of their energy savings potential and housing market share. Yet few multifamily retrofit projects have been completed in hot-humid regions and even fewer studies have measured and verified savings from such projects. Addressing this gap, the purpose of our research is to assess the impacts of energy-efficiency upgrades to multifamily buildings in Orlando, Florida. Specifically, we measure the first-year electricity savings from retrofits to 232 units in four apartment complexes. Annual savings per unit averaged 2,094 kWh (22%) and ranged from 1,700 kWh (18%) to 3,811 kWh (29%) across complexes. Monthly savings ranged from 48 kWh (9.4%) in December to 340 kWh (31%) in August. From these core findings, we estimate that tenants in treatment units saved an average of $272 on their electric bills. We also find evidence to support a strategy of targeting upgrades to improve overall savings and program cost effectiveness. Results are being used to guide development of a utility demand-side management program for multifamily property owners. Progress in this market requires additional pilot projects, access to utility data, reliable measurement and verification of savings, and innovative financing structures. Promoting net zero energy buildings (NZEB) is among key carbon emissions reduction approaches that have been widely adopted by policy makers in recent years in the U.S. and in the EU countries. However, since generation of electricity from renewable energy (RE) sources, for buildings to achieve net zero status, is still relatively expensive, federal, state, and local governments offer various incentive programs. The task of determining the minimum thresholds of these incentives that would spur growth in NZEBs is a difficult one, as the threshold for each incentive is likely to be influenced by building type, RE technology, desired return on investment, weather, and the levels of other incentives. This paper presents a mixed integer programming (MIP) model to aid in the above task. The model is particularized for wind and solar energy sources. The incentive programs considered in the model are low interest loans, rebates, performance based incentives, tax credits, and net metering. A time-of-use (TOU) pricing structure for electricity is assumed to be in effect. The MIP model minimizes the annual cost of energy. Model implementation is demonstrated using buildings in two cities in the U.S. with different climate conditions (Long Island, NY and Tampa, FL) and each with three different load profiles. The results indicate the threshold values of the incentive program parameters, and show that these thresholds are highly influenced by the levelized cost of electricity from RE and are independent of load profiles. Experimental exergy analysis of an Off-Grid Zero Emissions Building (OGZEB) at the Florida State University Energy and Sustainability Center has been conducted in efforts to identify HVAC components with high entropy generation rate (i.e., exergy destruction rate). Among the components that constitute the HVAC system of the OGZEB, this study assess the exergy flow in the solar thermal collector and thermal energy storage unit. In addition, an exergy analysis of the geothermal loop coupled to the HVAC system is performed to compute its exergy destruction rate for possible geometric and parametric optimization. Temperatures, solar irradiance, and mass flow rate are measured on different days (i.e., different ambient conditions) and used to compute the exergy flow and destruction in the OGZEB. This work serves as an initial step to the integrative thermodynamic optimization of the HVAC system in an off-grid residential building where most energy is required for heating and cooling. Chilled water plants consume significant amount of energy. In order to improve the chiller plant energy efficiency, we propose a framework to continuously optimize the parameters of the supervisor control system of the chilled water plants according to the predicted weather condition and cooling load. The framework results in a platform that allows the seamless integration of a physics-based model of the chiller plant and a rapid optimization tool. We model the physical and control systems using Modelica Buildings library and perform the optimization using the GenOpt optimization package. The entire optimization process, including data pre-processing and post-processing, is automated via a suite of Python functions that we have developed. To demonstrate the usage of this platform, we optimized the chiller condenser water set point and performed an offline simulation to evaluate the energy saving of proposed optimization strategy. Partnered with the Lawrence Berkeley National Laboratory, our tool is currently being installed and evaluated at the US Naval Academy. The presentation and poster will outline two innovative energy technology demonstration projects being conducted at the Transportation, Energy and Space Technology Hub (TEST Hub) established by Energy Florida and its partners at the NASA John F. Kennedy Space Center (KSC). The TEST Hub provides an interface and services that enables companies, universities and agencies to utilize KSC facilities and expertise for energy related research, development, demonstration and test activities. Energy Florida, KSC and International Trade Bridge (ITB) have coordinated with the Department of Energy to secure hydrogen and fuel cell assets, including a $2 million Proterra 2.0 fuel cell bus, a hydrogen vehicle fueling system, and a set of stationary fuel cell power units as the foundation of a new dedicated advanced transportation and fuel cell development and commercialization capability. The Advanced Transportation Dual-Fuel Fuel Cell Development and Demonstration project will conduct pre-commercialization development, demonstration and test activities on Bing Energy’s prototype Modular Dual-Fuel (Hydrogen/Oxygen) Auxiliary Power Unit Range Extender. This system provides ultra-high power density by using Bing’s buckypaper technology (originally developed at Florida State University) and hydrogen/oxygen fuel sources. The commercial product will be EnerFuel2, a modular fuel cell unit designed for use in zero emission fleet vehicles, enabling all-day operations without refueling or charging. The project will validate the performance of the Bing EnerFuel2 fuel cell system and help address unique issues associated with having both oxygen and hydrogen feeds. The project is being funded through an award by Space Florida that is being matched by the Florida Office of Energy within the Department of Agriculture and Consumer Services (DACS), under the new Renewable Energy and Energy-efficient Technologies (REET) grant match program. The Thermo-Electric Generation (TEG) Transit Bus Demonstration project will develop, install and demonstrate the effectiveness and efficiency of a thermoelectric generator in providing power for accessories of a diesel-powered transit bus, reducing the amount of power required from the alternator during operations. The Federal Transit Administration has provided funding to the Center for Transportation and the Environment (CTE), and a consortium of partners including Hi-Z, Energy Florida, ITB, Florida Solar Energy Center (FSEC), and LYNX Transit with the goal of developing, testing and demonstrating a thermoelectric generator installed on a transit bus from LYNX’s fleet in Orlando. Thermoelectric heat waste will be used to reduce the amount of fuel needed to operate the transit bus while in service. The project will apply this technology initially developed for spacecraft and transition this work to transit systems with a waste heat recovery system that is expected to generate 1000W of 24V power to support bus systems, utilizing energy that will otherwise literally be sent out the tail pipe. Earlier versions of the proposed system have been demonstrated on automotive, military vehicle and diesel truck uses in work funded by the Department of Energy, National Science Foundation and the Department of Defense. This technology can now provide a new way to reduce transit engine demand and achieve reductions in fuel consumption and emissions. The Building America Partnership for Improved Residential Construction (BA-PIRC) investigated the effects of ducted heat pump water heaters (HPWH) on space conditioning energy use and water heating at the Florida Solar Energy Center (FSEC), Cocoa, FL. To assess HPWH ducted ventilation strategies and impact on air conditioning under a hot-humid climate, FSEC conducted controlled experiments in two geometrically-identical, full-scale, side-by-side residential research facilities known as the flexible residential test facility (FRTF). The only difference between these two facilities during the HPWH experiment was the floor material used – carpet and bare concrete floors. Comparisons were made between three modes of airflow in each unit –rotating every ten days: Air supplied and returned from the conditioned home; air supplied from the outside via the HPWH to the home; and a supply and return from the garage which helps serve as a base case. The HPWH’s utilized adapter kits, eight-inch (8″) ducts and manual dampers to divert the airflow between the interior, outside and garage airflow paths. Ducting a HPWH led to reduced airflow rates (148-160 cfm) compared to the most common unducted configuration of 450 cfm, as claimed by the manufacturer. Automated hot water consumption was altered monthly and ranged between 34 and 57 gallons per day. On average these two homes measured 20 kWh/day of energy consumption on their primary HVAC equipment (3-Ton, SEER 13, 77 F thermostat setting) during the cooling season without HPWH ventilation. Savings of 2.0 kWh/day or 10% reduction, were achieved by using the interior (balanced) HPWH airflow path configuration during cooling season. However, when using an outdoor to interior (pressurized building) airflow path configuration a 2% (+0.375 kWh/day) penalty on the primary HVAC system was incurred. Heating season in central Florida is not as severe as in other parts of the country. The buildings utilized 4.8 kWh/day on average baseline during the heating season (Dec-Feb) with thermostat setting of 73 F. On average, a 1 kWh per day of additional energy consumption was recorded during the heating season when using interior to interior airflow path configuration. When the dampers were set to introduce outside air into the interior space, 3.6 kWh per day of additional space heating was incurred. Run time of the HPWH was also investigated as it could benefit ventilation of homes (ASHRAE 62.2) using the aforementioned ducted strategy. Heat pump water heater runtime is a function of hot water use, inlet water temperatures (Higher winter runtimes) and thermostat setting. The outside to interior ventilation of 148 cfm provided by the HPWH could lead to 33% of ventilation requirements of a new 1,535 square foot home having and infiltration rate of 8.0 air changes per hour (ACH) at 50 pascals. If the same home would have a tighter envelope having a measured 5.0 ACH50 it would only contribute about 23.5%. Greenstar Panels is a product developed to combat Florida’s unique climate with high humidity and over 300 sunny days each year. All of our product is manufactured in Lakeland and 100% of our installations have been completed in the Florida. We are truly a homegrown enterprise that has developed solutions for our hot garages and stifling hot attics. Hyper-Insulation is the best way to describe Greenstar Panels as it is designed to challenge all 3 types of heat transfer, Radiant, Convective and Conductive heat. Calorimetry Hot Box Methods”. The results showed that GPS 1.5” and R-30 fiberglass were virtually equal in performance while the GSP 2.0” out-performed the R-30 fiberglass by over 26%. After 200 plus installations in existing homes the results have consistently shown that Greenstar Panels will reduce attic temps as much as 80 degrees maintaining temps under 100 degrees on our hottest summer days. Customers have experienced reduced electric consumption ranging from 15-50% for full year comparisons of before and after installation. It would be incorrect to state that Hyper-Insulation is the only product that can keep the heat out of an attic space. Spray foam has gained popularity the last 20 years because it protects the entire structural envelope from outside elements too. However, there have been widespread unintended consequences associated with SPF. First, SPF has put occupants’ health at risk with off gassing because of improper mixing and application. Secondly, when a roof develops a leak it could go undetected until an entire roof deck is compromised. Hyper-Insulation is truly a Green product. EPS is food grade insulation, safe as a coffee cup. EPS last forever, never needs servicing and can be recycled. By design, it vents away heat and actually cools a roof surface compared to a traditional attic. Objectives: Choices made during the planning stages of residential development affect ecologic, social, and economic aspects of our families and communities. The location, density, and layout of a new community builds in resource demands and environmental impacts that will affect our daily lives. For instance homes on large lots with in-ground irrigation systems build in a higher level of energy and water consumption than do homes in multi-family and mixed use communities. Long-term impacts on all aspects of the natural environment – from air and water quality, future water availability and preservation of natural ecosystems are also affected by development choices. Because these impacts of development decisions are not immediately apparent, a tool that can help developers or city planners quantify and compare these impacts at the early planning stage could lead to more sustainable development decisions. Methods: A methodology for evaluating development alternatives and quantifying the relative differences in energy and water consumption, greenhouse gases (GHG), infrastructure costs and other parameters due to residential density and community structure was demonstrated in a comparative case study of three development scenarios. Resource consumption was calculated per household type and density based on local measured utility data and modeled the impacts of three land use scenarios, for 7,500 to 10,500 residences over a 50 year period across 66,000 acres in Alachua County, Florida. Using the CommunityViz® extension for ArcGIS, we generated grid cells of 1 square hectare across the site and assigned one of 16 land uses to each cell across a natural-to-urban transect. A wide range of attributes were defined for each land use. Placement of land uses was guided by composite scores of development suitability calculated for each grid cell based on existing ecologic, hydrologic, and soils characteristics, and infrastructure proximity. Results: Trends suggest an inverse relationships between residential density and most measures of development impacts. On a per-capita basis, residential energy consumption decreased 27 to 38 percent, water consumption decreased approximately 50 to 75 percent, vehicle miles traveled decreased 12 to 36 percent, and GHG decreased 31 to 43 percent from the base Scenario. Conclusions: CommunityViz®, informed by local data, can support an iterative planning process that immediately updates the impacts of various “what if” questions leading to more sustainable landscape and urban planning decisions. Further research could improve the accuracy of input assumptions and extend the model to include costs for long-term infrastructure maintenance and community services to differing types of development as well as feasibility of public transportation. Implementing database operations on parallel platforms has gained a lot of momentum in the past decade, due to the increasing popularity of many-core processors. A number of studies have shown the potential of using GPUs to speed up database operations. On the other hand, energy consumption has also become an important performance goal in modern computing system design. Energy has become the second largest cost in maintaining today’s IT infrastructure. In a data center environment, it also has profound effects on the design and operational cost of cooling systems. With the energy efficiency of CPUs steadily increasing in the last decade, the GPU industry is also making every effort to make GPUs green in addition to increasing computing capability and memory bandwidth. In the Top500 list of supercomputers, 10% of them have deployed GPUs not only for improved performance, but more importantly for less energy consumption. In this work, we present empirical evaluations of a state-of-the-art work published in SIGMOD’08 on GPU-based join processing. To conduct a comprehensive comparison, we test multiple CPUs and GPUs that covers mainstream and server level hardware. From the experiments, we find GPU achieve up to 20X speedup over its CPU counterpart. Apart from superior performance, GPU also provide with high energy efficiency more than we expected. We notice that although GPUs has much higher power profile than CPUs, the total energy consumption is significantly less than those of CPUs. Specifically, the latest GTX980 featuring the fully redesigned Maxwell architecture achieved 14X energy efficiency in comparison with the same priced high-end Core i7 CPU. In a server level comparison, the GTX Titan featuring an earlier architecture achieved up to 5X energy efficiency against the low power edition of Xeon E5 CPU. These findings indicate GPUs have done better than CPUs along the way to energy efficiency, although CPUs have made significant progress in reducing power consumption. GPUs might be a promising computing platform as it provides both performance and energy efficiency that are needed for data centers, data warehouses and other enterprise-level and scientific applications. Meter data has been used by utilities for decades with various focuses on use and often limited availability. Within the past several years the interest in smart meter data and its use for energy efficiency has steadily increased from both private and public sectors. Orlando Utilities Commission (OUC) has made significant stride in developing the infrastructure and analytic tools for smart meter data usage viable for both internal and external customers. Take a glimpse into how OUC is developing use cases and studies around smart meter data analytics and employing efficiency as a result. Our desire is to demonstrate good stewardship of our smart meter data to set the example for our community and avail the tools and resources needed for our customers to join in the journey. Energy consumption has become a first-class optimization goal in design and implementation of data-intensive computing systems. This is particularly true in the design of database management systems (DBMS), which was found to be the major consumer of energy in the software stack of modern data centers among all database components, the storage system is the most power-hungry element. Therefore, we present our research on designing a power-aware database storage system. In previous work, dynamic power management (DPM) techniques that make real-time decisions to transition the disks to low-power modes are normally used to save energy in storage systems. However, DPM methods in the previous work usually suffer from some limitations such as non-optimal disk state configuration, in-efficient inter-disk data migration, and little energy saving or significant performance degradation due to spinning disks up and down. We tackle the limitations of existing works in our solutions. We introduce a DPM optimization model that can be integrated into the DBMS’s data management engine in order to minimize power consumption of the disk-based storage system while satisfying the given performance requirements. It dynamically determines the state (power mode) adjustment and inter-disk fragment migration to achieve the optimal balance between power consumption and the query response time. We evaluate our proposed ideas by running experimental simulations using several synthetic workloads based on popular TPC benchmarks. Our results show an energy saving of up to 60% while satisfying the performance goals. The current housing and building market relies heavily on wood and concrete for infrastructure materials. Currently insulation performance is highly dependent on geometry and typically higher insulation values require larger footprints. We have developed a cost competitive, smart insulation panel for the smart home and building of the future. IVy Composites’ patent pending Dynamically Controlled Smart Walls (DCSW) will increase insulation values by over 100% while reducing space constraints. It also offers real-time climate control and energy use feedback, allowing for maximum efficiency. Our DCSWs may also be composed entirely of our patent pending natural fiber composite materials made from 100% recycled materials. Although there are many standard insulation materials available for the purpose of providing thermal isolation between systems, these traditional insulation materials utilize a relatively static structure and composition governing their thermal characteristics. Static insulative materials such as wood, plastic, expanded polystyrene and concrete are widely used for the construction of homes and buildings. Each of these materials has certain characteristics that are suitable for a given application, but they cannot be dynamically altered in real-time to meet demands for variations in temperature or climate. There are vacuum panels in practice for high R-value requirements, but they suffer from loss in performance over time due to the inability to maintain their initial vacuum condition. Our DCSWs can be pumped with active vacuum for superior thermal and sound insulation, but they can also be filled with fluids to further accommodate changes in the environment. They can be pumped with cold water during the summer or hot water during the winter. An additional benefit of filling with water is safety in the case of a fire. Being filled with water allows our DCSWs to act as a thermal sink and will not catch on fire; rather they will heat up the water inside and evaporate the contents. The smart walls will have an additional sprinkler function to release the water or fire suppression contents in the case of a fire outbreak. The DCSWs are compatible with current construction standards so they can also be retrofitted into existing establishments as well as accommodate lines of studs for nails. IVy Composites’ DCSWs have smart sensors, which can detect a faulty panel or vacuum seal and they can be replaced individually. All of this data is displayed in real-time and can be controlled by a wall panel and/or a tablet or smartphone. The user can also control characteristics of individual walls in the home or building. For example, one room can be cooler or warmer than another, or the bedroom can be quieter from outside noise than the living room. The IVy Composite DCSW will be a very cost effective solution for superior thermal and sound insulation in a home or building. They can also be filled with fluids for further temperature management and fire retardation, and also offer real-time feedback to the user. Micro-CHP systems have been commercialized and used widely in Europe but their deployment is limited by the economics of having heat led operation algorithms. The heat engines used in micro-CHP systems have lower electric efficiencies than central power plants so are only used when a heat demand exists for hot water or space heating. This leads to considerable idle capacity when no local heat demand exists. This presentation discusses three methods to improve the utilization of this distributed power resource. The first is to combine existing micro-CHP systems with a heat driven cooler so that the cooling demand can be converted into a heat demand that the micro-CHP system can supply and can therefore run for longer periods of time, possibly improving the economics of the system if heat driven cooler costs can be low enough. The second is to incorporate these distributed power resources into a smart grid so that they can be used as peaking plants and only used at periods of atypical grid performance. This method would utilize the lower efficiency electric power from micro-CHP systems to allow the grid to ride through excursions that are out of the ordinary and avoid the building of capital intensive power plants for this purpose that remain idle most of the time. The third method is to design new devices that can provide dispatchable micro-CCHP. Calor Technologies has patents on a new device that can operate as a cooler or power generator with low temperature heat input. By varying the inlet temperature to the device, it can be modulated from power generation only to power generation and cooling and then at low temperature heat driven cooling only. If the temperature is under 100C then the system can still use the heat in a heat assist operation but using electric input power to complete the energy input required. A combination of technical advances and new thinking about Energy Systems has created one of the most profound changes that affect us personally and professionally: a digital revolution – the Industrialization of Information Technology using Cloud and Mobile innovations to new ways to engage customers, employees and partners with big data and analytics, mobility and social media. No enterprise or person is immune—all must transform and speed is of the essence. Companies and utilities are deploying Cloud and Mobile technologies faster, cheaper and at higher service levels than ever before. Many organizations have recognized integrating Cloud and Mobile innovations bring about productivity, efficiency and safety. Every organization has to better understand the changes as a matter of discussion whether or not they believe it could change their environment, if it has not already. Like the energy utility industry, Cloud and Mobile technology is maturing where utility pricing (pay only what you use), online access independent of location, on-demand access when needed (reliability and availability), and common infrastructures are allowing utilities, governments and companies to deploy information and data solutions at less cost and latency, higher security, measurable productivity gains and leverage global resources. It took 80 years for the automotive industry to penetrate 90% of the market while it took 4 years for the mobile market to do the same. New smart phone applications linked to data in the Cloud are now being leveraged without the delays or high capital costs the market experienced a few years ago. Analyzing weather data and energy consumption can keep the lights on. Energy and utilities firms say weather causes 70% of the outages (Congressional Research Service 2012). The Apple IBM App, Field Connect, is transforming the way field technicians do their jobs with powerful, data-driven information right on iPhone then up to the Cloud for weather information. In or out of a service truck, field technicians can get up-to-the-minute details based on their location to help keep safety top of mind. Push notifications provide late-breaking news on severe weather while outages, hazards, and crewmember information can be viewed at any time. Personalized training and safety tips are available on demand, empowering field technicians with even more ways to assess and mitigate risk factors. And the intuitive user interface on iPhone makes it easy to get field teams up and running in no time. With access to Twitter, Apple, and Weather Data from the Cloud coupled with the latest mobile technologies, significant advantages and benefits are born. The benefits and growth have never been experienced and are transforming Energy Systems globally. The presentation will discuss the transformations and disciplines needed to take advantage of the opportunity. eNOS is an open source energy operating system we are developing designed to provide Dynamic Demand Management by integrating demand management with solar power and battery storage. eNOS will accelerate the transition to distributed renewable energy by providing a cost-effective platform to reduce on-site peak demand by 20 to 30%. The centralized power generation model has served well. It delivers safe, reliable and affordable electricity throughout the world. But over 1.2 billion people have no access to electricity. And electric power generation is the largest single contributor to greenhouse gas emissions. In less developed countries, eNOS allows small villages to share expensive resources (solar panels and batteries) and, by controlling peak demand, reduces the investment to reliably supply power where and when it is needed. In developing countries, where power delivery can be unreliable, eNOS can reduce reliance on diesel generators. In the developed world, eNOS will allow individuals and organizations to more cost-effectively develop carbon neutral buildings and campuses and to reduce demand charges. How will we proceed? The Historic Green Village (HGV) is a small, mixed use campus of 5 buildings on Anna Maria Island. It includes 87 kW of solar PV and a power distribution system with a single point of common coupling to the utility. The team has already implemented an Energy Dashboard at the Historic Green Village that provides detailed minute-by-minute circuit level data by building and load type. We have done a detailed analysis of load and solar production data collected over the last 3 years. Each of the 8 commercial and residential units will have a wall-mounted load controller and wireless sensors (temp, humidity and occupancy) and switches for select electrical and mechanical equipment. We will also install a 24 kWh smart battery system. The eNOS system has two primary services: dMAN, the Dynamic Demand Manager, and batMAN, the energy storage management module. The system will be designed to reduce peak load by 20 to 30% while maintaining quality of services. The Demand Manager is based on software tools and standards developed at two US National Energy Labs (PNNL and Lawrence Berkley). The Battery Controller was developed by Tumalow Energy Systems, an Amzur business and co-development partner. A technical success that fails in the marketplace will have little impact on addressing the global energy and environmental challenges that humanity now faces. The Internet of Things: low-cost controllers, sensors and switches provide an excellent platform to deliver Dynamic Demand Management. This capability has multiple impacts: 1. Financial. Lower demand charges benefit commercial customers that have invested in solar PV but are still incurring demand (kW) charges despite lower energy (kWh) charges; 2. System. In the US 20% of the peak load happens less than 5% of the time. Demand Response reduces the need for utilities to invest in additional generating capacity to meet peak demand; 3. Environmental. Generation brought on-line at last resort (peak periods) are typically the least efficient, and most polluting generating assets; 4. Investment in new technology. Real-time, customer-driven (vs. utility driven) Demand Management significantly improves the business case for stationary battery storage. Global investment in the power sector increased almost two-and-a-half times from $290 billion in 2000 to $690 billion in 2011. And investment in generation is designed to exceed peak load by some margin, i.e. spinning reserve of capacity exceeds total peak demand to compensate for unexpected outages. In the US 20% of the load happens only 5% of the time. In Australia 15% of the load happens less than 1% of the time. In Egypt 15% of the load happens only 1% of the time. Therefore a significant amount of capital investment sits idle 95% of the time. Utilities have encouraged Demand Response programs but the monetary benefits to customers are slim so adoption levels have been modest. eNOS targets reducing Demand Charges – the capacity charges that commercial customers pay every month. Historic Green Village, even though it is Net Zero Energy, often incurs a Demand Charge since their energy demand (kW) exceeds a specific threshold within a 30 minute interval during a billing period. The combination of intelligent load shedding and reduction (i.e. reduce setpoints or dim lights) and battery storage can reduce or eliminate demand charges. Our objective is to reduce peak demand by 20 to 30%. The real accelerator in market transformation across a wide range of industry sectors has been to allow subject matter experts to leverage open source tools to focus on the problem sets they understand best. In our select domain these challenges include solar and demand forecasting, load shedding, metering and measurement, energy analytics, sensors and switches, and machine-to-machine communications. The team carefully evaluated Volttron an open source agent development and deployment platform for managing distributed generation and demand-response developed by the Pacific Northwest National Labs. Volttron is well thought out and has been proven in the lab and in limited field trails. But there is scant community development support. One of the few contributors provides source code to a more complete product but the attendant license is quite restrictive. We chose openHAB as the automation bus to implement a Dynamic Demand Management suite of applications. openHAB is vendor and protocol neutral; is field-tested; supports a wide range of devices, protocols and technologies; and has a large, active and global community of contributors. We have also chosen Green Energy Corp’s Greenbus enterprise service bus. Greenbus is specifically designed to support micro-grids. It is based on well-supported open-source communication protocols and technologies and the same modular OSGI framework as openHAB. In short, we are aimed at providing a low-cost, open source set of services and tools to manage energy demand and supply locally. This will accelerate the transition to distributed energy systems. Power networks control, protection and diagnosis are usually addressed by three-phase voltages and current signals analysis based methods. Therefore, disturbances detection, which is essential for protection and diagnosis purposes, must be made by means of these aforementioned signals. Faults are disturbances that generate transients in voltage and current signals because of rapid system states change. In this context, real-time detection of transients provides an estimate of the anomaly inception and serves to initiate protection action or signals recording. On the other hand, data bases of digital signals are also made available in real-life. Thus, an important task is to detect and classify all disturbances contained in them. Solid faults produce clear visible transients followed by a substantial change in voltage and current magnitudes. By contrast, High Impedance Faults (HIF) show very smooth features including low energy transients which can be easily mixed up with noise. In order to deal with above problems, many research works where proposed and commercial equipment developed. One common approach is based on the difference between the output of a median and a mean filter. Also sample-by-sample or cycle-by-cycle difference detection based methods are also very used. Details of a Discrete Wavelet Transform are another way proposed for detection signals generation. This work proposes a Park´s Transformation based approach for High Impedance Faults Detection. The dq-transformation (DQT), using only the direct and quadrature signals are used in this approach. A new insight of the mathematics behind DQT is also presented for generalized signals. A scheme of FIR adaptive filter is used to improve detection signal quality and finally a detection algorithm is proposed whose is self-adaptive with the noise level of the signal. The proposed solution is currently being used on a Distribution Utility for High Impedance Fault Detection on Distribution Networks. New FERC rules require that ISO/RTOs provide incentives to responsive resources to help balance supply and demand in the power grid (e.g., the 2011 FERC Order 755). Since the recent adoption of “payment for performance” at PJM, they found that their overall costs were reduced, even with the higher payments to ancillary service providers that were mandated by FERC. A potential explanation: with higher accuracy comes reduced capacity requirements for zero-energy ancillary services. Plentiful high-frequency regulation service: In research conducted at the University of Florida it is shown that loads in commercial HVAC systems can provide the valuable high-frequency regulation with negligible cost. Reduced communication needs for lower frequencies: In joint Florida/Inria Paris research it has been shown that with additional communication infrastructure, lower frequency regulation with high accuracy can be obtained from on/off loads such as chiller systems, refrigeration, water heaters, and residential pool pumps (a load of approximately 1GW in Florida). The good news is that two-way communication may not be required: If intelligence at the loads is designed appropriately, then the grid will obtain the required regulation with only one-way communication from balancing authority to these intelligent loads. A high power, multifunctional smart power inverter is investigated to integrate PV energy source, energy storage, electric vehicles (EVs) and power grid. The smart power inverter can control the power flow between PV energy source, energy storage, EVs and power grid. It can achieve multiple functions including reactive power compensation, harmonic compensation, load balancing, EV charging, real power generation and grid voltage regulation. It aims to improve smart grid performance and replace existing single function grid devices so that grid infrastructure cost can be greatly reduced. To paraphrase Albert Einstein, “we cannot solve today’s problems with yesterday’s thinking.” By their very name, normal statistics and linear dynamics are rooted in a scientific conventional wisdom that assumes nature behaves as a straightforward sum of its parts. I am here to suggest that new thinking, and new solutions, await us in other dimensions….fractal dimensions. Right now, we stand on a fractal shaped peninsula. Interestingly, there is no single measure of length to describe the Florida coast. As our ruler gets ever smaller, the coast of Florida appears ever longer, revealing increasingly more subtle details. Now imagine the challenge of using this same basic ruler to capture the shape of a tree. These objects, and the systems that generate them, are too complex to be described by the 0 dimensional points, 1 dimensional lines, 2 dimensional planes, or 3 dimensional solids of Euclidean geometry. Fractals are rough, self-similar, and iteratively branch across space, but also within time. Like Goldilocks, our lungs respire, our brains fire, our postures sway, and our hearts beat with fractal complexities that are neither too simple and regular nor too disordered and irregular. At our healthiest, we are adapted for uncertainty and prepared to change in response to our dynamic surroundings. For the benefit of both humans and planet, I have dedicated the last 20 years of my life to researching and promoting the more efficient use of energy and water resources in residential buildings. Our past thinking assumed buildings were simple machines, with known variables, whose performance could be perfectly engineered. We measured consumption in monthly billing intervals and differentiated the good from the bad by the normal statistics of means, variances, and sums. Yet the predicted outcomes from this asset modeled approach to building performance were often wrong…sometimes wildly. What was their fatal flaw? We forgot that all machines have both programmers and users. Our present thinking integrates human behavior into the equation. Human plus machine, turns house into home. We now assume, that with enough due diligence we can integrate these behavioral variables into our operational models and reengineer our homes accordingly. Or so we think…and therein lies the problem. We measure our building performance and occupant behavior with the same coarse grained ruler that fails to describe the dynamics of our ever evolving Florida coast. We have simply boxed our human nature into a clockwork concept of the original machine, as if robots are the operators. Our future thinking will use dynamical models to treat our buildings as organisms and our cities as ecosystems. If Pliny the Elder was right, and home is where the heart is, then I believe the fate of the smart grid and the state of home health hides in the space between its beats. As such, my FESC funded graduate research applies the science of chaos and fractal dimension to describe, diagnose, and improve home performance from electric smart meter data as if this signal is the heartbeat of the home. Power lines in distribution networks are subject to conditions such as bad weather, contact with animals and trees, equipment malfunction, etc. These conditions may cause a fault in the power lines that may damage the devices in the network if the fault is not cleared by the protection devices present. For a sustained fault, it is required to identify the type, cause and its location as soon as possible. In this work, a fault location identification algorithm is proposed that can accurately identify the fault location within seconds so that utilities can have a better understanding of how to mitigate the fault and restore the service. The algorithm uses data collected from the measurements available from the smart grid devices such as Advanced Metering Infrastructure (AMI), Reclosers, Power Quality Meters, and other smart meters present in the grid. It is also suitable for distribution networks with Distributed Generation (DG) and smart measurement infrastructure that can transmit event-driven data such as pre and post-fault voltages or currents. To overcome the challenge presented by the lack of metering points at every bus of the system, this research work presents a MATLAB-based state estimation (SE) technique that is used to identify the fault location in Real-Time. The validation of the algorithm was performed by using the IEEE 37 nodes test feeder on which PV systems were added to represent DG penetration. The network is modeled inside a real-time simulation platform Artemis developed by Opal-RT technology. The model was running in real-time and streaming data out through PMUs placed at different location using the IEEE C37.118 standard. Fault-on voltages and currents from virtual smart meters/PMUs are gathered in real-time, fed to the State Estimation algorithm to determine the unknown phasors which are then fed to the fault location identification algorithm. When a fault is created in the real-time simulator, the Graphic User Interface (GUI) of the algorithm displays the location of the fault within a second. This will be a great tool for utility operators who can inform the potential fault location to the maintenance staff. The method was tested for different transformers configuration, for multi-source distribution grid with the presence of DG, and for symmetrical and asymmetrical fault types. In most cases the accuracy is above 90% at first guess and in cases of the remaining 10%, a second guess made the right call. This poster presents the setup of a HIL electrical machine drive lab and SCADA lab for wide area measurement and control. In both settings, OPAL-RT’s real-time simulators RT-LAB are implemented. In the drive lab, OPAL-RT is used to implement the desire control schemes for AC and DC electrical machine drives. Control blocks and measurement signals are created with MATLAB/Simulink. RT-LAB software compiles MATLAB/Simulink files to C code and download it to OP-4500 OPAL-RT simulator. PWM signals are generated by OP-4500 I/O boards and command signals are sent to power electronic boards to drive DC or AC machines. The SCADA testbed will be used to implement energy management schemes, test power grid cyber attacks and mitigation strategies. Phasor Measurement Units (PMUs) hardware devices equipped with GPS antennas are used to capture data from real-world power systems as well as simulated power networks in OPAL-RT. Captured data will be sent to an OSISoft PI server database via IEEE-C37118 protocol. All the communication and data exchange are used to develop a SCADA energy management test bed. The test bed will help researchers to analyze and compare various algorithms and protocols for smart grid control as well as mitigation schemes for power grid cyber security. Encell Technology was founded in 2006 as a venture funded startup to develop new energy storage solutions. Encell has focused for the past six years on developing electrochemical storage technologies for micro-grid and renewable energy applications. Encell is located in the former GE/Gates/Energizer/Moltech alkaline battery facility in Gainesville, FL. The Encell team has decades of experience in the battery industry successfully launching many new products. The Nickel Iron (NiFe) battery is one of the oldest battery chemistries to have been commercialized. The chemistry was championed by Thomas Edison and competed against lead acid for every energy storage opportunity, including large format. Edison believed it was the superior battery chemistry since it had an almost infinite cycle life. It lost out to lead acid due primarily due to its limited rate capability. Edison’s original NiFe battery, capable of storing one hour of electrical energy, could not receive or discharge that one hour of energy any faster than at a 16 hour rate. At the most recent count, Encell has in the field 361 kWH of installed energy storage. These are 33 separate installations with 2042 individual cells. The cell count is 1,550 100AH cells and 484 300AH cells. With 6 months of committed production and customer contact daily, Encell has “Nickel Iron Batteries for Twenty First Century Energy Storage”. G4’s battery architecture eliminates welded connections between cells that have been typically used in battery packs as well as other key features within the electrode stack to lower resistance. Together, these features give the battery stack an enlarged current path thus reducing the overall resistance of the battery. The reduced resistance translates into lower battery temperatures, greater charge acceptance and the ability to charge at high rates. A major goal of sustainable energy systems is to provide clean, affordable, accessible energy that does not deplete the earth’s resources. There is a need to develop reliable energy systems that do not rely on fossil fuels and fuels with toxic byproducts to preserve the environment while powering the future. This has led to the development of local, small power generating systems utilizing photovoltaics (PV) and wind power. There has been a rapid increase in energy generated from, and supplied to the grid, from PV. This increase in PV grid penetration can lead to grid regulation problems if the rapid increase in generation does not match the peak load demand. One way of limiting or controlling when power is supplied to the grid is through the integration of storage. Storage systems can also be implemented to increase the efficiency of a system by storing energy that would otherwise be dumped when generation exceeds load requirements. By the same token, storage can also determine when power flows to and from a system. Battery storage also allows for increased self-usage, autonomy and can provide grid services such as peak shaving, regulation, spinning reserves and even arbitrage. One of the challenges of implementing battery storage is the relatively high cost of batteries. Plug in hybrid electric vehicles (PHEV) have been considered for use as storage in various grid connected systems. Future smart and micro grids could benefit from the flexibility of integrating electric vehicles as part of the energy network to provide vehicle-to-grid services (V2G). Research shows that the average car is parked 15 hours a day and can provide storage and or grid services 60% of the time. In this work we use MATLAB-based code to analyze the impact of double-use storage on a grid connected house with photovoltaics in Tallahassee, Florida. We examine the use of a plug in electric vehicle (PEV), as double use storage, to provide battery storage for an average-sized residential house with PV. The PEV’s battery will be the only local energy storage system connected to the residence when present. The PV provides the renewable energy, and the grid is used to provide power to the house and charge the car when the PV is not providing enough energy. Grid relief is provided by the PV when the car is charged and the load requirements are met. The system employs net-metering by which excess PV production during peak hours is sent to the grid for credit to offset overall grid prices. The results show that the cost of purchasing power from the grid can be reduced with the use of a PV and PEV integration. The PEV can be used as an uninterruptible power supply (UPS) to power the load in the absence of the grid and the PV. Iterative “learning” by distributed control agents has been proposed for power system decision making. Such decision making can achieve agreement among control agents while preserving privacy. The iterative decision making process may interact with power system dynamics. In such cases, coupled dynamics are expected. The objective of this paper is to propose a modeling approach that can conduct stability analysis for these hybrid systems. In the proposed approach, the discrete decision making process is approximated by continuous dynamics. As a result, the entire hybrid system can be represented by a continuous dynamic system. Conventional stability analysis tools are then used to check system stability and identify key impacting factors. An example power system with multiple control agents is used to demonstrate the proposed modeling and analysis. The analysis results are then validated by nonlinear time-domain simulation. The continuous dynamics models developed in this paper sheds insights into the control nature of each distributed optimization algorithm. An important finding is documented in this paper: A consensus algorithm based decision making may act as an integrator of frequency deviation. It can bring the frequency back to nominal while the primal-dual based decision making cannot. Although concentrating solar power (CSP) plants are becoming more popular and cost effective, one major setback is the implementation of storage. One type of storage is a thermocline packed bed system, where the filler particles store excess thermal energy and transfer it to the heat transfer fluid when solar radiation is not available. A model was developed to simulate a packed bed thermocline system with encapsulated phase change material (PCM) as the filler. The model was validated with experimental results. The model is also being used to analyze the effects of the packed bed parameters on the exergy efficiency of the storage system.